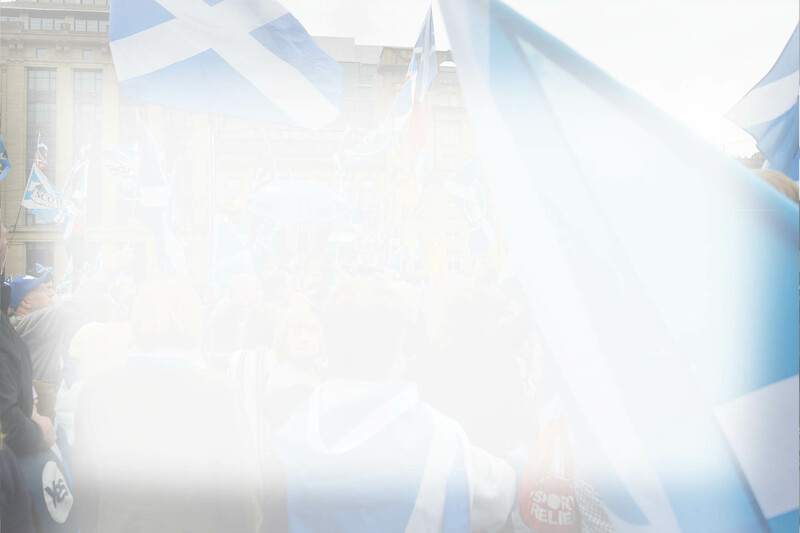 On 23 June, the people of Scotland voted categorically and decisively to remain within the European Union (EU). Although the concerns of those who voted to leave must be listened to and addressed, there is clearly a strong desire in Scotland to be a full and active member of the European family of nations. The Scottish Government shares that desire. There was also a majority for Remain in Northern Ireland. In England and Wales, there were majorities to Leave. The stark divergence in the democratic will between the different nations of the United Kingdom (UK) demands a reappraisal of how political power in the UK is exercised. Accordingly, the way in which the Westminster Government responds to proposals put forward by the devolved administrations will tell us much about whether or not the UK is indeed a partnership of equals. Following the Brexit vote both the Scottish and UK Governments made a number of commitments. For the Scottish Government, I said I would seek to bring people in Scotland together in common cause and to build as much consensus as possible. I said I would explore - not just my preferred option of independence - but all options to protect Scotland's place in, and relationship with, Europe. And I said the Scottish Government would - in good faith and a spirit of compromise - seek to identify a solution that might enable Scotland's voice to be heard, and mitigate the risks that Brexit poses to our interests within the EU. The proposals in this paper meet those commitments. In all of this our single, overriding concern is to protect Scotland's national interests. 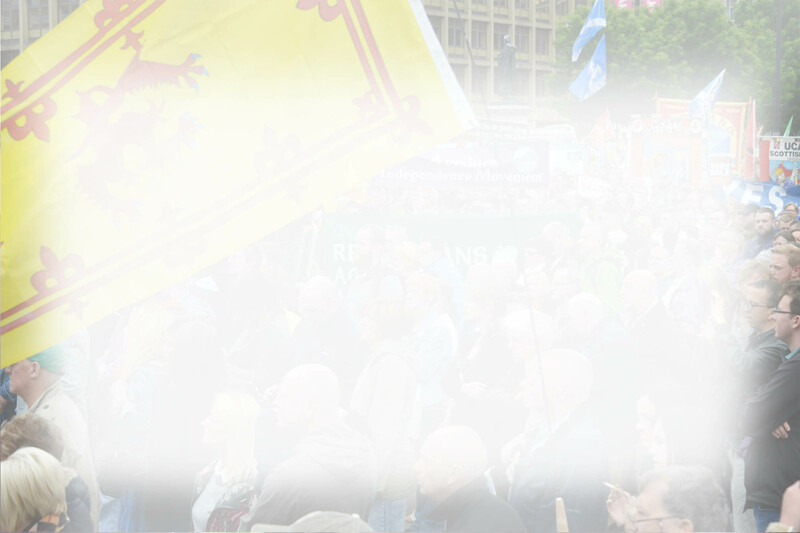 It is our determination to ensure Scotland's voice is heard, and acted upon. That is the hallmark of the Scottish Government's approach. At the heart of the proposals in this document, and our proposals for any EU negotiations, we are determined to maintain Scotland's current position in the European Single Market. The Scottish people did not vote for Brexit, and a "hard Brexit" would severely damage Scotland's economic, social and cultural interests. It will hit jobs and living standards - deeply and permanently. That is why we are so determined to avoid it. There are various ways in which Scotland's place in the European Single Market could be maintained. One option - in my view, the best option - is to become a full member of the EU as an independent country. Indeed, independence would resolve the fundamental cause of the position Scotland currently finds itself in: Westminster Governments that Scotland doesn't vote for, imposing policies that a majority in Scotland does not support. "The Scottish Parliament should have the right to hold another referendum [...] if there is a significant and material change in the circumstances that prevailed in 2014, such as Scotland being taken out the EU against our will." There is no question, therefore, about the legitimacy of the Scottish Parliament and the people of Scotland considering the question of independence in these circumstances. As leader of a party that supports independence it is my belief that an independent Scotland is the best way to secure a more prosperous and equal country. However, the focus of this paper - in line with the clear commitment I gave in the aftermath of the EU Referendum - is to explore if we can find common ground with the UK Government around a solution that would protect Scotland's place in the European Single Market from within the UK. It stands to reason that the proposals we put forward in this paper fall short of what we consider to be the best status for Scotland and the UK - full membership of the EU. However, they are designed to mitigate - as far as possible - the real and serious risks for Scotland caused by being taken out of the EU against our will. Firstly, we argue that the UK as a whole should remain within the European Single Market - through the European Economic Area - and within the EU Customs Union. Secondly, we consider how Scotland could remain a member of the European Single Market and retain some key benefits of EU membership even if the rest of the UK decides to leave. We recognise and explore the significant practical challenges involved in implementing such proposals. We do not underestimate the scale of those challenges. But political leadership is about finding solutions and this paper attempts, in good faith, to set how the undoubted challenges might be overcome if the political will exists to do so. It should be noted that there is already a range of asymmetric and differentiated arrangements within the EU and single market framework. In addition, the UK Government already appears open to a "flexible Brexit" approach in relation to different sectors of the economy. It will also be necessary to take a flexible approach in relation to Northern Ireland and Gibraltar. The Mayor of London has also indicated that he will seek special arrangements for London, particularly in relation to immigration. The fact is that the negotiations ahead - given the unprecedented circumstances in which we now find ourselves - will be characterised by a necessity to find practical solutions to a range of complex issues. 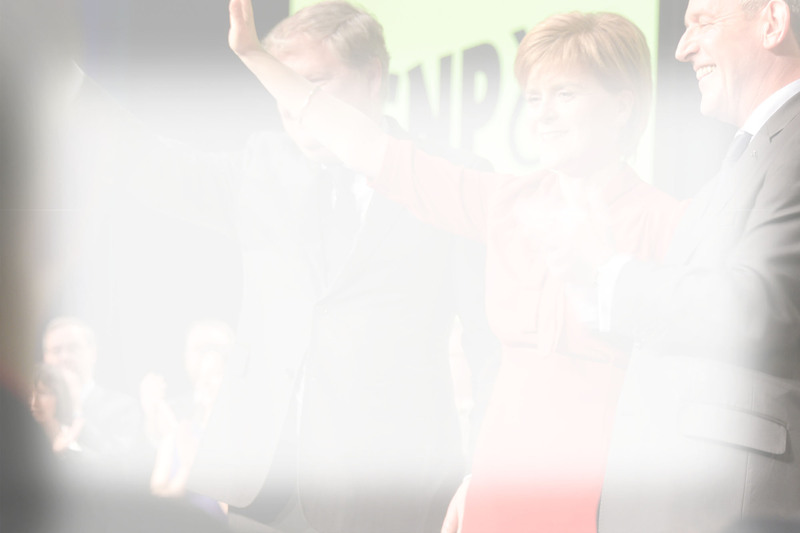 It is in this spirit that we seek to find solutions that will respect the voice and protect the interests of Scotland. It is also important to stress that this proposal does not prioritise the European Single Market over free movement and free trade within the UK. We consider that UK-wide free movement and free trade could and would continue if Scotland becomes independent, just as the UK Government believes that free trade and movement between the UK and the Republic of Ireland will continue after Brexit. Our proposal seeks to secure the benefits of the European Single Market for Scotland in addition to - not instead of - free trade across the UK. 1. Those powers that will be "repatriated" to the UK from Brussels and that currently sit within the Scottish Parliament's competence, for example fishing and farming. These must remain the responsibility of the Scottish Parliament. 2. Those powers to be "repatriated" that are not currently within the Scottish Parliament's competence and where devolution would allow the Scottish Parliament to protect key rights, for example employment law. 3. Powers, beyond those to be "repatriated", to protect Scotland's interests, including those to support the differentiated solutions for Scotland proposed in this paper: for example, powers over immigration, powers to conclude international agreements in areas of Scottish Parliament responsibility, and a range of powers that would be required for the Scottish Government to meet the regulatory and administrative requirements of continued European Single Market membership. As I have said, we fully acknowledge the option set out in this paper is challenging. But these challenges must be seen in a context where the Brexit vote and the UK Government's apparent drive for a "hard Brexit" mean that there are no simple options. We believe our practical solutions are reasonable and in the best interests of Scotland - in a context that will be complex and unprecedented whatever the ultimate outcome. The Scottish Government stands ready to work closely and co-operatively on our proposals with the UK Government, other political parties, organisations and individuals across Scotland on the outcomes we seek and the principles we are adopting. We recognise these proposals do not confer the full benefits of EU membership, or of independence. As a government we remain committed to EU membership as an independent nation - and are proud to say so. However, the proposals in this document are our contribution to ongoing efforts to build consensus. They represent a compromise on our part - but also what we consider to be requirements for Scotland if a UK solution to Brexit is to be found. We expect the UK Government to show similar flexibility. As the UK is the EU Member State it will be for the UK Government, not the Scottish Government, to negotiate directly with the other 27 Member States. Therefore, we expect the UK Government to honour its clear previous commitment to involve Scotland in the development of the UK position prior to the triggering of Article 50, to consider the options now advanced and to guarantee that Scotland will be fully engaged in the discussions going forward. However, the Scottish Government will not compromise on our determination to build a strong economy and ensure that Scotland remains an open, welcoming European society. If the real and substantial risks that Brexit poses to Scotland's interests cannot be mitigated within the UK, the option of choosing a better future through independence should be open to the Scottish people. Europe is about more than economics. The European ideal is one of peaceful co-existence, mutual solidarity and support, and prosperity built on co-operation. There is much still to achieve, but a Europe which encourages openness and civic dialogue, and which welcomes difference, is one from which Scotland has gained much and to which it still wants to contribute. We embrace the values of solidarity, co-operation and democracy which underpin the European Union, and in everything we do we will strive to build a successful, dynamic economy and a fair society, now and for the generations to come. 1. In the referendum of 23 June, while the UK as a whole voted to leave the European Union (EU), a large majority in Scotland voted to remain part of it. The way governments across these islands respond to the result will have significant consequences for our prosperity, our rights and freedoms as EU citizens, and our constitutional arrangements. We must recognise and respond to the concerns of those who voted to leave as well as those who voted to remain. We must also understand the profound issues of peace and stability this raises for our near neighbours. Our choices will also affect our European partners - their citizens living and studying here, as well as businesses and investors - and our collective ability to tackle complex, interdependent domestic and international challenges. 2. Our response must also acknowledge that leaving the EU, and in particular any proposal to leave the European Single Market and the Customs Union, will result in significant disruption. It will be directly against the democratic wishes of the people of Scotland and will damage our economy, our social fabric and our future prospects. While the referendum resulted in a mandate for England and Wales to leave the EU, that was not the case for Scotland and Northern Ireland, nor did it provide a mandate for the terms of exit. 3. The challenges posed by the EU referendum result are unprecedented. The Scottish Government believes that, short of full EU membership, the least worst outcome for the UK as a whole would be to retain full membership of the European Single Market through the European Economic Area, and to remain in the Customs Union. However, the UK Government currently appears to be on a course that will take the UK out of the European Single Market and the EU Customs Union, a decision which could cost the Scottish economy up to around £11 billion per year3. Therefore, this paper also offers options for a differentiated solution for Scotland, to safeguard our economic and social prospects. Our mandate for this approach comes from the manifesto on which this Government was elected, from the majority vote in Scotland to remain in the EU, and from the Scottish Parliament's resolutions on the matter. 4. The paper goes on to argue that whatever the outcome for the UK and/or Scotland in terms of the European Single Market, Scotland's interests within the UK demand a fundamental review of the devolution settlement - this arises as a result of the removal of the protections provided by EU law for the devolved institutions and the rights of citizens. As part of this, the Scottish Parliament must retain responsibility in already devolved areas like farming and fisheries - there must be no question of re-reserving or qualifying powers already devolved. The powers of the Scottish Parliament should also be increased so that it takes responsibility for "repatriated" comptencies in reserved areas, such as employment law, in order to protect fundamental rights. However, the need to consider further devolution goes beyond repatriated powers. New powers to support Scotland's interests, and any differentiated relationship with Europe, will also be required. 5. We will engage in good faith with the UK Government to seek to secure Scottish interests through its negotiations with the EU. However, we were elected with a mandate that the Scottish Parliament should have the right to hold an independence referendum if there was clear and sustained evidence that independence had become the preferred option of a majority of the people of Scotland; or if there was a significant and material change in the circumstances that prevailed in 2014, such as Scotland being taken out of the EU against its will. 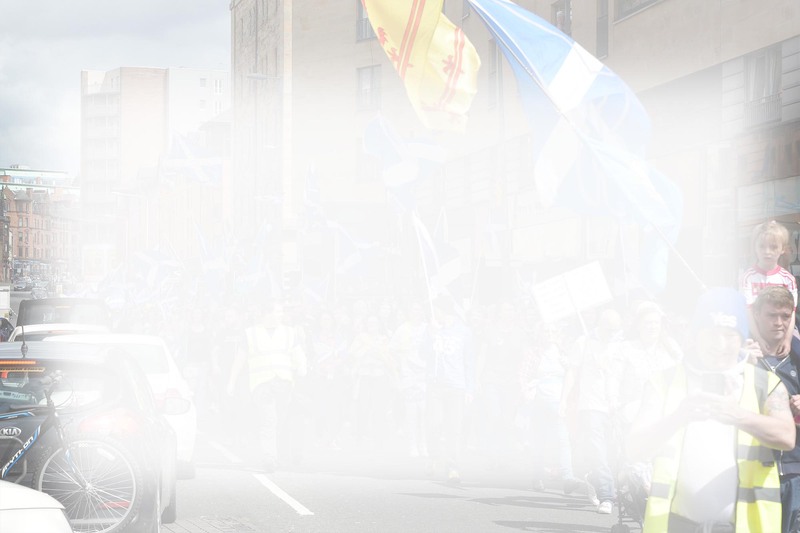 We have published a Draft Referendum Bill for consultation so that the option of a referendum on independence will be available if we conclude that Scotland's interests cannot be protected by other means. 6. Scotland's relationship with the EU is mutually beneficial. Scotland is a nation with a strong European heritage, outlook and values. We bring assets and opportunities, our people, our natural resources and our universities with their innovation and research capabilities. And we are committed to contributing to the common good in the pursuit of cohesion, social justice and solidarity. The Third Sector in Scotland is active in helping to create and sustain an open Europe, committed to an ongoing civic dialogue, and the Scottish Government will continue to encourage that endeavour. 7. We recognise that the options we propose will be technically and politically challenging and will require flexibility, pragmatism and support on the part of the UK Government and, in due course, our European partners - the same spirit of flexibility demonstrated in our proposals. The challenges also reflect a position which is technically and politically unique - everything about Brexit will be complicated and there are no simple solutions for the UK. Therefore, we hope it will be recognised that these proposals have been developed in unprecedented circumstances - circumstances in which the majority of Scottish citizens face being forced out of the EU against their will, and where Scotland, as an EU Nation, is fully compliant with the EU Acquis. a) Economic interests - in particular, retaining membership of the European Single Market and its market of 500 million people in addition to free trade across the UK; protecting the thousands of jobs that are directly linked to our place in that market; ensuring our firms have access to the EU workforce they need; and pursuing the collaboration and funding that is so essential to our future prosperity. b) Solidarity - supporting the ability of nations to come together for the common good of all of our citizens to tackle crime and terrorism and deal with important global challenges like climate change; protecting the rights of EU citizens to settle in Scotland and continue to contribute to the development of our economic prosperity and diverse communities with reciprocal arrangements for our citizens living, working and studying in other EU countries. c) Social protection - ensuring the continued protection of workers' rights and maintaining social, environmental and human rights advances. d) Democratic interests - respecting Scotland's overwhelming vote to remain in the EU and ensuring that Scotland's distinctive voice is heard, particularly in our future relationship with the EU and European Single Market, and that our wishes are respected. e) Influence - safeguarding our ability to shape the laws and policies that define our future economic and social development. a) Influencing the overall UK position so that the UK remains in the European Single Market, through the European Economic Area (EEA) Agreement and also in the EU Customs Union. 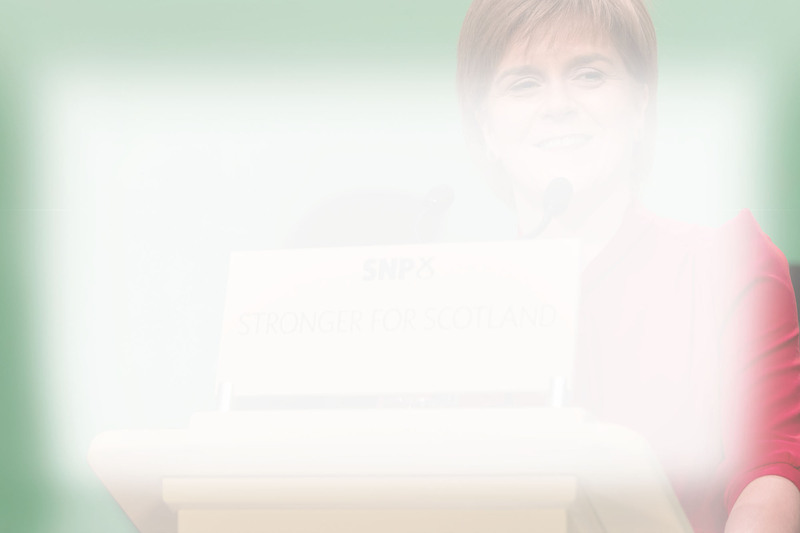 We believe that Scotland's interests would be best, though not comprehensively, secured by the continuation of the rights and freedoms we enjoy as members of the European Single Market, along with the broader economic and social benefits which adhering to the free movement for persons, goods and capital provides for us. Remaining in the EEA would mean being part of an existing structure for engagement, which would provide greater certainty for businesses and citizens. Given the many years, perhaps decades, of uncertainty involved in the pursuit of bespoke deals with the EU and other world trade partners, we believe Scotland's interests would be best served if the UK retained its membership of the EEA. A clear and early signal to that effect would provide influential leadership, offer comparatively simpler options and greater stability. We also believe that it is in the UK's and Scotland's interests to stay within the EU Customs Union. b) Exploring differentiated options for Scotland within the UK that provide the closest possible relationship with the EU and the European Single Market in the event that the UK Government chooses to leave the EU Customs Union and Single Market. In particular, this paper argues that the UK should support Scotland remaining within the European Single Market, even if the outcome for the rest of the UK is to leave the EEA. In addition, the Scottish Parliament should have the powers necessary to seek to maintain pan-European links in important areas of devolved competence, for example Horizon 2020, Erasmus and Europol. c) Safeguarding and significantly expanding the powers of the Scottish Parliament. Leaving the EU must not result in greater concentration of powers at Westminster. Powers to be "repatriated" from Brussels that are already within the current responsibilities of the Scottish Parliament, such as agriculture and fisheries, must remain fully devolved, with decisions on any UK-wide frameworks being for agreement between the UK Government and the Devolved Administrations. In addition, and whatever the outcome of our efforts to keep Scotland in the European Single Market, "repatriated" powers not currently within areas of devolved competence, for example employment and health and safety laws, should be devolved to enable the Scottish Parliament to protect key rights. More generally, the current division of responsibilities between the Scottish Parliament and Westminster must be reconsidered to ensure that the Parliament is able to protect Scotland's interests and to reflect the change that will be effected to the UK's constitutional settlement by leaving the EU. This should include consideration of significant new powers to secure any differentiated relationship with Europe. 10. In exploring all options for Scotland, we will make certain assumptions - and this paper will make those assumptions clear. However, we are operating in a fluid situation. If those assumptions shift and change, so too may the detail of our proposals and how we will achieve Scotland's interests. So while we have set out our current preference to protect our interests, we remain open to other options which may emerge as the wider debate develops. 11. We know that leaving the EU will be extremely complex with a huge range of significant issues to be addressed across all the main policy areas of government. It will have significant implications for businesses and citizens throughout the UK (for example, food safety regulations, market access, cyber security, defence, medicine approvals, energy market regulation and interconnectedness to name but a few). 12. We do not believe these will all be addressed through the Article 50 process, but will require a much longer timeframe if they are to be tackled properly. 13. We need clear and detailed assurances from the UK Government that sensible transitional arrangements will form part of the negotiations with the EU, covering the period between the UK leaving the EU and any future agreement coming into effect. Clarity on such transitional measures will be essential to maintain business and consumer confidence and sustain the health of our economy. This is increasingly recognised by the UK Government - for example, the Chancellor has recently outlined that Brexit may take four years or more4. The House of Lords also highlighted the importance of establishing transitional arrangements to mitigate the shock that would follow were the UK to leave the EU without securing agreement on future trading relations with the EU5. 14. The First Minister's Standing Council on Europe has been important in helping us consider options to protect and promote Scotland's interests in the context of Brexit. The First Minister is indebted to members of the Standing Council for their time and energy in supporting our work. 15. The Standing Council is an independent group of advisers who have expertise in various aspects of European integration and the European Union, as well as in business, diplomacy, human rights, social protections and education. The Standing Council recognises the significant economic and social challenges we will face as a country if, in the future, Scotland is no longer a member of the European Single Market. Like the Scottish Government, our advisers recognise that some of the proposals in this paper are legally and technically challenging and would require significant political will to implement. The views of Standing Council members naturally differ on some aspects of the analysis and options in this paper, but all members share a common concern to limit the damage that Brexit will do to Scotland. 16. While this paper has benefited considerably from the work of the Standing Council, it is published by the Scottish Government and represents the views of Scottish Ministers. Chapter Two: What Is the European Single Market and Why Does It Matter? 17. Today, Scotland is a fully integrated part of the European family of nations and of the European economy. In large measure this is a direct consequence of our membership of the European Single Market - the centrepiece of the EU. Leaving the EU will change our place in Europe. Leaving the European Single Market and the EU Customs Union will damage our economy and undermine our wider social interests. 18. 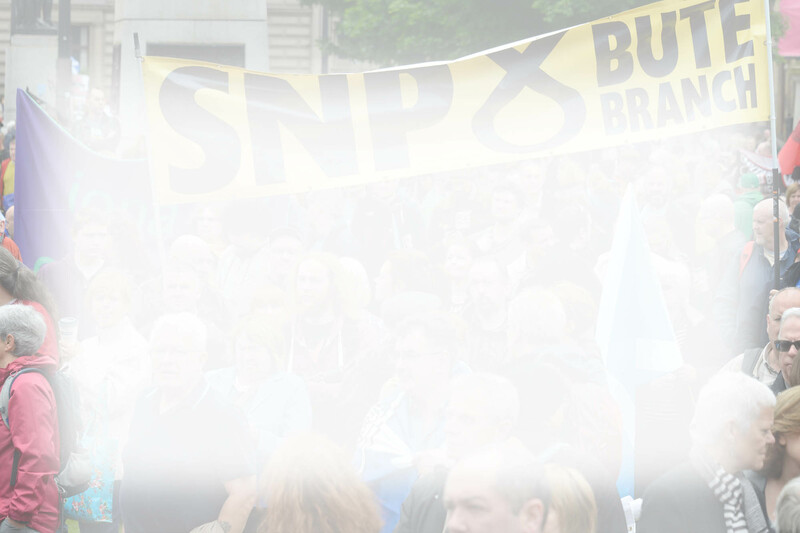 In this chapter we first set out why Brexit in general, and exiting the European Single Market in particular, threatens to fundamentally damage Scotland's economic prospects. We then turn to the wider social implications of Brexit and demonstrate why we believe our ambition to remain an open, inclusive and responsible society is at risk. 19. It is this analysis that forms the basis of the Scottish Government's insistence that if the UK Government is not prepared to protect Scotland's - and we believe the UK's - economic and social interests by remaining inside the European Single Market, then it must enter into discussions with the Scottish Government to explore the possibilities of securing a differentiated outcome for Scotland. That is, an outcome that permits Scotland to remain inside the European Single Market. 21. As a result of the European Economic Area (EEA) Agreement, three of the four countries of the European Free Trade Association (EFTA) - Norway, Iceland and Liechtenstein - became members of the European Single Market even though they were not, and are not, members of the EU. In essence, the European Single Market was extended to include these three countries. As a result, these countries participate in the European Single Market and are compliant with the obligations of membership of that single market. However, the obligations under EEA membership do not cover the Common Agricultural Policy (CAP) or Common Fisheries Policy (CFP); or trade in all agricultural or fisheries products. However, as we note in the final section of this chapter, EEA membership does not preclude co-operation with EU Member States across a number of issues we regard as vital to Scotland's economic and social interests. 22. As we discuss in greater detail in Chapter Three, it is therefore possible, and perfectly feasible, for the UK to leave the EU but to be in the EEA and thereby protect Scotland's membership of the European Single Market. Assuming that the decision to exit the EU is irreversible for the UK Government - politically, if not legally - EEA membership is the outcome the Scottish Government considers to be the least damaging to Scotland's interests. EEA membership is what is widely referred to as a "soft Brexit". Any alternative to EEA membership will result in the UK being outside the European Single Market - in other words, it will represent a "hard Brexit". 23. It is also highly desirable that the UK remains part of the EU Customs Union such that goods entering the UK from outside the EU would continue to be subject to EU rules of origin and the Common External Tariff. This would then mean that goods exported from the UK to the EU would not incur the additional costs that will arise if the UK is outside the EU Customs Union. This would not only avoid disruption to the complex global supply chains in which many Scottish companies are involved, it would also ensure that businesses (especially small and medium-sized enterprises) are not subject to the administrative and compliance costs necessary to satisfy EU rules of origin stipulations - costs that might exceed the external tariff that otherwise would be applied6. 24. We conclude that retaining membership of the European Single Market and EU Customs Union would be the least bad outcome for the UK as a whole. But if the UK Government decides to leave the single market, we would still argue that the UK should remain inside the EU customs union. 25. It is difficult to overstate the importance of Scotland's continuing membership of the European Single Market (i.e. a "soft Brexit") as opposed to Scotland's producers accessing that market as non-members, or "third countries". Any country in the world is able to access the European Single Market as long as it is not subject to trade sanctions, but it will be subject to tariffs on goods and encounter regulatory barriers7. As matters stand, the UK's exit from the EU is likely to be subject to similar third country treatment. This would see the imposition of tariffs on Scottish exports to the European Single Market, damaging the competitiveness of our goods and driving down exports. However, perhaps more significant would be the non-tariff barriers, such as divergent regulatory standards, which would restrict the extent to which companies could access the European Single Market8. 26. The European Single Market is an area presently comprising 31 countries, representing in excess of 500 million consumers, within which impediments to the free movement of goods, services, capital and persons have been, or are being, progressively eliminated. Adhering to these "four freedoms" therefore defines the core obligation of membership of the European Single Market, and it is only through membership that comprehensive access can be secured. The EU has been clear that these four freedoms are indivisible, which is in conflict with the UK Government's aspiration to secure a bespoke agreement with free trade with the EU and control over UK borders9. 27. The European Single Market is much more than a "free trade area". Free trade areas, and free trade agreements, typically involve the removal of formal barriers to trade - namely customs duties (tariffs) and quotas. What they do not generally provide for is the elimination of non-tariff, or technical, barriers to trade; that is, barriers to trade that result from the vast array of national regulations and laws that govern the production, distribution, marketing and sale of goods. In practice, these remain very significant obstacles to trade between the EU and third countries. Moreover, free trade agreements tend to cover only industrial goods. They do not typically include agricultural and food products, although more recently many cover market access for services. Outside the European Single Market, the international trade of basic agricultural and fish products is subject to bilateral agreements between individual EFTA or World Trade Organisation (WTO) member states and the EU. Such agreements set out the tariff and non-tariff (including technical measures) barriers that apply to trade. 28. By contrast, the European Single Market continues to eliminate these technical barriers to trade. This is achieved by a combination of "mutual recognition", whereby national governments recognise the regulations in force in EU partner countries as equivalent to their own regulations, and harmonisation of standards in cases where they do not accept equivalence. 29. Trade in goods and services tends to be highly sensitive to technical barriers to trade resulting from different national regulatory regimes. A substantial part of EU legislation is designed to ensure that goods and, especially, services meet a minimum standard of performance, safety and reliability, and therefore may circulate freely within the European Single Market. Countries outside that market have no automatic access to the EU market, even where the necessary standards are met. The National Institute of Economic and Social Research recently estimated that the losses in bilateral trade with other EEA countries from leaving the European Single Market could be as much as 60%10. 30. If the UK does exit the European Single Market, then it will become a third country for the purposes of EU trade policy, and negotiations will be necessary to determine UK access to that single market. It is likely that the UK and the EU may at some point reach a future trade deal, although reports have suggested this could take as long as 10 years11. This deal could include, in line with many modern free trade agreements, elements of both industrial products and secure some market access for services which may avoid the imposition of tariffs and quotas. Products will be included only if they conform to EU standards and regulatory requirements, and can demonstrate this. However, whatever the scope and scale of any such deal, it will be unable to replicate the current level of market integration which we enjoy through membership of the European Single Market. This will consequently create costs for business throughout the UK and will mean service providers have a much lower level of market access than is currently the case. A trading relationship of this nature will also disadvantage UK producers who will not be able to meet "just in time" delivery requirements as goods will be subject to administration as they cross borders into the single market. 31. The European Single Market is more than a single market for goods and services. It is also an area within which persons and capital move freely - once again an arrangement that is unique, in global terms, to the EU. These freedoms allow workers and their families to move across the EU to work and live, and to contribute to other countries' economies and societies. They allow businesses to invest anywhere in the European Single Market and to bring with them new jobs and new technologies that can boost productivity and raise living standards. 32. It is important to recognise that "free movement of people and services" is far wider than free movement of labour. It implies the right of companies to set up branches in other Member States and to move directors, managers, sales personnel and technical support staff as required. It also allows independent professionals (lawyers, doctors, architects and others) as well as self-employed artists and craftsmen of all types to establish themselves and their products and services throughout the whole area of the single market. 33. As we show in this chapter, Scotland has benefited just as much from the free movement of people and of capital as a member of the European Single Market as it has from the free movement of goods and services. It is these considerable benefits that are now at risk from Brexit in general, and from exiting the European Single Market in particular. Moreover, in many respects the European Single Market remains "work in progress". It is a market in which considerable potential remains to be unlocked. New opportunities to increase our trade and co-operation within the single market will emerge as new market opportunities arise - opportunities in the digital economy, services sector, energy sector, retail sector, green economy and the knowledge economy in general. These are opportunities that will not be available to Scotland's businesses or workforce if we exit the European Single Market. They are opportunities that are highly unlikely to arise in any other trade agreement that the UK may negotiate anywhere in the world, especially in a global trading environment in which there are real fears of growing protectionism. 34. Significant as they are, the risks to Scotland of exiting the European Single Market are not purely economic. Membership of the European Single Market also involves implementing a range of measures designed to further the rights and interests of working people, protect and advance social and environmental interests and address wider societal challenges, such as climate change, through collaborative research and collective action. These aspects of the European Single Market are vital elements in pursuit of the wider agenda of social justice and an inclusive society to which the Scottish Government is firmly committed. 35. Brexit places at risk the continuation of social and societal protections, and the aspirations that they represent. Given that many of these sit within reserved areas, their continued effect would be subject to the will of the UK Parliament and UK Government, which would no longer be bound by the obligations of EU membership. The Scottish Government is committed to ensuring that Brexit does not lead to a regression from the high standards we have attained in these areas, largely through the implementation of EU law. Remaining a member of the European Single Market will guarantee that no such regression can occur or otherwise jeopardise the progress we have made, nor should Scotland be left behind our European partners in the area of social protection. We discuss these issues in greater detail later in this chapter. 36. Scotland is a strong and resilient open economy with a skilled labour force, and the performance of the Scottish economy has improved across a range of indicators. GDP per head is higher than in the UK as a whole and higher than 20 of the 28 EU Member States12. Scottish Government analysis13, drawing on research by a range of external organisations, suggests that under a "hard Brexit" Scottish GDP could be up around £11 billion per year lower by 2030 than it would be if Brexit does not occur. Such an adverse shock to our economic performance would reduce tax revenues, and in turn the funding available for public services. The Scottish Government analysis estimates that resources for public spending could be up to £3.7 billion a year lower under a "hard Brexit"14, more than double the annual budget for Scotland's universities and colleges15. Independent research by the Fraser of Allander Institute highlights similar risks16. It estimates that after 10 years it could result in wages being £2,000 lower, and the Scottish economy supporting 80,000 fewer jobs, than would otherwise be the case. We are undertaking further analysis to assess the impact on specific sectors under different Brexit scenarios. 37. The impact of a changed relationship with the EU will be variable across sectors and regions. Higher impacts will potentially be felt in sectors where tariffs are reintroduced, regulatory barriers are prominent, which are dependent on workers from other parts of the EU, or where we rely on EU structural funds, for example, for infrastructure projects. Sectors like financial services have significant spillovers into other parts of the economy and, therefore, any slowdown here will impact more widely on people and businesses. 38. Rural Scotland may face particular issues from a changed relationship with the EU. The European Single Market and EU funding help to support investment in superfast broadband, business development, housing investment and measures to address fuel poverty along with other regional initiatives to support inclusive growth. The food and drink sector, which includes agriculture, fishing, and food and drink manufacturing, is heavily reliant on EU funding and the single market. The sector is vital to the Scottish economy, with an annual turnover of around £14.4 billion, contributing £5.3 billion in gross value added (GVA) and employing just over 116,000 people. It is estimated that around 8,000 people employed in the food and drink sector are non-UK EU nationals and up to 15,000 non-UK seasonal migrant workers are employed in the soft fruit and vegetable sectors for harvest in summer and autumn. The EU is Scotland's most important regional market for food and drink exports, worth £2 billion and accounting for 39% of Scotland's total overseas food and drink exports. e) allows people and companies - architects, engineers, students, tourists, haulage companies to name only a few - to move around the EU and establish businesses, build careers and live their lives free from discrimination. e) make it more difficult for Scottish people to travel, live, work and study in other European countries. 41. The EU is the main destination market for Scotland's international exports, accounting for 42% of the total in 2014. In 2014 companies in Scotland sold £11.6 billion of goods and services to firms and consumers in the EU17. The Centre for Economic and Business Research estimates that Scotland's exports to the EU ultimately support over 300,000 jobs across Scotland18. Such trade also has a number of wider benefits. Small and medium-sized firms who export are more likely to innovate and grow faster19. Continued membership of the European Single Market also provides for growth opportunities for Scotland - for example Norway's combined goods and services exports to the EU totaled €77.9 billion in 201420. 42. Retaining membership of the European Single Market and the EU Customs Union, as proposed by the Scottish Government, is essential to facilitating this trade. It ensures that Scottish companies selling into the EU do not face tariffs or non-tariff barriers on their exports as they would under WTO or bi-lateral trading arrangements. Such tariffs would either force companies in Scotland to raise their prices, thereby reducing their competitiveness, or reduce their profit margins, which would reduce the resources available for future investment. Ensuring that companies exporting from Scotland do not face tariff barriers also maintains the country's attractiveness as a location for inward investor companies seeking to export into the EU, helping to both maintain existing jobs and attract new investment. It would appear that, at least implicitly, the UK Government acknowledges this argument, at least insofar as the reports about a "deal" being struck with Nissan are accurate. 43. Foreign direct investment (FDI) is an important source of investment in the Scottish economy. It has a direct impact on the economy through the jobs it creates. In addition, the new technologies, management practices and innovations which FDI introduces can feed through to the wider economy and in turn boost a country's overall productivity and prosperity21. Remaining in the European Single Market is critical to our continued success in this area, where we are already realising significant economic benefits. 44. Ernst and Young estimates that since 2006, FDI in Scotland has created 40,000 jobs. In 2015, Scotland attracted a record 119 FDI projects, a 51% increase on the previous year, compared with a 20% increase UK-wide22. Almost 80% of such investors say that being within the European Single Market was an important factor in their decision23. That presence within the European Single Market anchors businesses involved in complex integrated supply chains, which are a significant feature of our modern economy, it provides assurances over recognition of standards, and access to all the benefits which flow from the four freedoms. 45. There are 1,000 EU-owned companies in Scotland employing 127,110 people24. There have been reports that a number of companies are re-evaluating their investments in the UK. For others, a "hard Brexit", by raising the cost of trade with the EU, would reduce the return which could be achieved by continuing to invest in their Scottish operations. By retaining membership of the European Single Market, Scotland would continue to offer a highly attractive location for inward investors seeking to export to the wider EU market. While we are not suggesting Brexit will result in an immediate relocation of FDI in Scotland, there are genuine concerns that Scotland will lose out on future inward investment as companies re-orientate their foreign investment activities. A survey by KPMG25 has suggested that 76% of UK CEOs are considering relocation and the Japanese Government26 has also warned about the risks to FDI following Brexit. 46. Particular concerns arise with respect to the consequences of single market exit for Scotland's services sector. Exports from the service sector have had increasing importance in terms of their share of international exports in recent years, accounting for 38% of all exports in 2014 compared with 24% in 2002. The service sector now accounts for around 34% of Scotland's EU exports compared to 18% of total exports to the EU in 200227.
consistent application and enforcement of these rules. 48. Over time, the elimination of these sorts of highly complex non-tariff barriers has become considerably more important to trade than tariffs, and especially so for services28. Our increasingly important services sector is extremely vulnerable to the negative effects that are likely to arise if Scotland is required to exit the European Single Market. It is a simple fact that no trading arrangement in the world offers the degree of access for providers of services that is in any way comparable to that available to members of the European Single Market. 49. Within Scotland's growing services sector there is little doubt that financial services providers are particularly vulnerable to Brexit. Presently our financial services providers enjoy so-called "passporting" rights whereby they are able to sell financial services products directly across the European Single Market because the UK regime of financial market regulation conforms to agreed EU standards - standards that the UK Government has been pivotal in setting. When the UK exits the EU it is probable that these "passporting" rights will be lost, with consequential adverse effects on Scotland's financial services sector. Retaining membership of the European Single Market would ensure this problem did not arise and "passporting" rights would be retained, opening up potential new business for Scottish companies. 50. As noted earlier, the European Single Market is not yet complete. As work continues to eliminate the remaining technical barriers to trade, very significant economic opportunities will open up in the years ahead. For example, digital technologies are transforming the European Single Market from manufacturing processes and automation to the way in which we make, purchase and consume creative content and other services like transport and accommodation. The EU is currently taking steps to ensure that the benefits of these exciting new developments are available to businesses and consumers across the European Single Market through the Digital Single Market Strategy. The Commission estimates that a fully functioning single market in digital services could add €415 billion to the EU economy29. Additional growth would result from increased trade in cross-border services in a huge range of sectors, from cloud computing to engineering and accounting. Similarly, it is estimated that full implementation of the Services Directive could add a further 1.8% to EU GDP30. It is vital that Scotland does not miss out on these significant future opportunities which will lead to new trade, new investment and new employment. 51. Exiting the European Single Market will also jeopardise Scotland's research and innovation activities. Innovation is a fundamental driver of long-term competitiveness and sustainable and inclusive growth. It encompasses the development of new processes, products, services, workforce design and business models. More innovative economies are also likely to have the capacity to be resilient to changing economic conditions and have greater ability to succeed in international markets. 52. Scotland's universities lie at the heart of Scotland's innovation system. Research and development (R&D) by higher education institutes in Scotland stood at almost £1.1 billion in 2014, representing one of the highest levels of R&D intensity in the Organisation of Economic Co-operation and Development (OECD)31. Strong relationships with other EU countries, including the free movement of world-class researchers, is a central part of this research and innovation system. 53. Over a quarter of all research staff at Scottish universities are from the EU32. The ability for researchers to collaborate with and work at Scottish institutions is integral both to the development of new ideas and to the dissemination of innovations. By facilitating the free movement of people, Scotland's continued membership of the European Single Market within the EEA would ensure that universities faced no impediment to continuing to recruit and retain the strongest researchers from across Europe. In addition, EU students add to the diversity of our communities, enrich the learning experience and contribute to our economic prosperity. We are concerned about the level of uncertainty for current and future EU students created by the decision to leave the EU, particularly over issues such as tuition fees. 54. More broadly, membership of the EEA would allow Scottish institutions to continue to participate in the Erasmus programme and other exchange schemes. By providing opportunities for Scottish students to study at other institutions, and vice versa, such programmes facilitate the dissemination of knowledge and allow Scottish students and institutions to establish links with counterparts across Europe. 55. 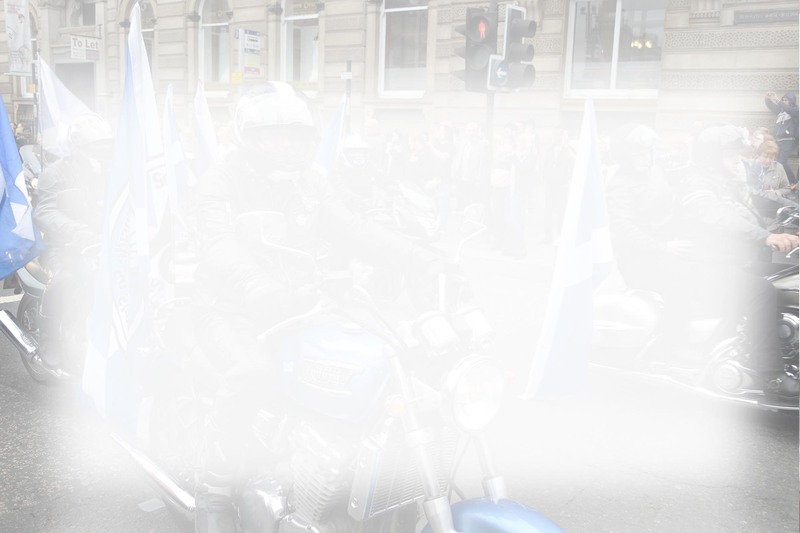 It is essential to recognise that the free movement of services that Scotland presently benefits from within the European Single Market is in many senses inseparable from the free movement of people. Many services exported from Scotland, including the diverse range of professional services that represent an increasing share of our total exports, are dependent on the ability of service providers - such as architects, lawyers, accountants, artists and academics - to move within the European Single Market and provide their service free from any discrimination on the basis of nationality. This is simply one example of the benefits of free movement of persons, and one reason why the Scottish Government cannot support a UK Government policy that will bring this to an end. 56. It is clear that exiting the European Single Market and the EU Customs Union would have a significant and highly adverse impact on our economy and economic prospects. These effects are likely to be felt over both the short term, as the costs of accessing the European Single Market increase, and the long term, as consequences for reduced domestic and foreign investment in the economy, and hence jobs and growth, become clear. 57. If Scotland were to be excluded from the European Single Market, the sectoral effects of Brexit will be significant. Although the severity of exclusion for each sector will depend on a host of factors, including the transitional arrangements agreed upon as the UK exits the EU and the "new relationship" that will supersede EU membership, no economic sector is likely to be immune from this shock and the complexities it would bring. Moreover it is highly unlikely the adverse investment, employment and growth effects that will occur if Scotland exits the European Single Market will be offset by new trading opportunities elsewhere in the world. 58. Therefore, while the costs of Brexit to Scotland's economy cannot be avoided in their entirety, there can be little doubt these costs will be mitigated as long as the UK, and Scotland, remains within the European Single Market and the EU customs union. 59. Scotland's economy is driven by people and by the quality of our workforce. There are currently around 181,000 non-UK EU citizens living in Scotland, bringing new skills and expertise and in turn, helping to underpin future productivity growth33. According to a HMRC report, in 2013-14, recent EEA migrants made a positive contribution to UK public finances of over £2.5 billion34. 60. A wide range of companies have been consistent and clear that it is not simply the free movement of goods and services around the EU which is vital to their business, but that the availability of labour from an EU-wide pool is absolutely essential. Skilled and unskilled labour are both important and fulfill diverse needs across our economy. 61. This need is evident right across the economy, from fish processing to cutting-edge research. In recent evidence to the Scottish Parliament's Economy, Jobs and Fair Work Committee, James Porter from Angus Soft Fruits Ltd. stated that, if he was not able to recruit from other EU countries, the company "…could scale right back and try to match production to the available labour or we could move production abroad." Both of these outcomes would be damaging to the local economy. He also noted that, "…the business has grown by 150% in the past 10 years." Of course, the agriculture and food processing industries may face increased tariffs on their goods (for instance, the average tariff on Norwegian fish products entering the European Single Market is 5%35) and we will do all we can in future negotiations and policy choices to mitigate those possible impacts. 63. Our remote and rural communities depend on workers from the EU in a range of sectors, with tourism providing more than 200,000 jobs in total37 and 21,000 of these held by non-UK EU nationals. Around 8,000 people employed in the food and drink growth sector, particularly the fish and meat processing sectors38, are non-UK EU nationals and up to 15,000 non-UK seasonal migrant workers are employed in the soft fruit and vegetable sectors for harvest in summer and autumn39. 64. Free movement of people is also vital for essential public services. Approximately 3% of health and social care staff in Scotland are from other EU countries40. More broadly, figures from the General Medical Council show that there are 6% of doctors working in the UK whose primary qualification is from another EU or EEA country41. 65. In the UK as a whole, the growth in the population has been driven in equal measure by those born in the UK, EU and non-EU countries. By contrast, in Scotland, the population growth has been driven more strongly by EU net migration, with 50% of the net population growth accounted for by EU-born individuals. This is a higher proportion than in the UK as a whole, where those born in the EU accounted for only a third (32%) of the net increase over this period42. 66. National Records of Scotland (NRS) published new population projections for Scotland to 2039, based on varying potential levels of European Union migration. These projections were commissioned and created for illustrative purposes only. Scotland's population is projected to increase by 7% between 2014 and 2039. However, in a situation where EU migration to Scotland falls to half of current levels, population is projected to rise by 5% over the same period. If there is no EU migration, the projected population growth is only 3%. In the scenario with no EU migration, the number of people aged 16-64 in Scotland is projected to fall by 9% between 2014 and 2039 compared to a rise of 53% in those aged 65 and over - indicating a likely significant reduction in the size of the workforce and likely increase in the dependency ratio. 67. Over the next 10 years, 90% of our population growth is projected to come from migration. Any move which limits migration43, whether from within or beyond the EU, has the potential to seriously harm Scotland's economy44. 68. As an economy we need the inward flow of people not just to support the growth of our businesses and services, but to provide diversity and vibrancy to our communities. These benefits are mutual. Over the years many Scottish and UK employees have enjoyed the opportunity to work in other EU countries, develop skills and often bring back much needed expertise and ideas. 69. Local government in Scotland has a significant stake in future options. Local government delivers a whole range of policies with a European dimension. Social and environmental protection, health and consumer protection, working time directives, the transfer of undertakings, procurement and state aid, transport policies, and rural and maritime policies are among areas connected to the EU. Local Government has also benefited from funding and networking in support of economic and social regeneration. There are several studies of local economies, such as that a partnership in the City of Glasgow Council45, which demonstrate the scale of this impact. 70. As we noted at the beginning of this chapter, the European Single Market is more than a purely economic arrangement. In addition to the considerable economic benefits we derive from membership, it has also become a framework that is capable of protecting and advancing individual and collective rights, as well as a range of broader societal interests. European Single Market legislation embraces and promotes a wide range of measures that protect, and advance, the rights and interests of workers. These include employment rights, social protection, equality rights, social inclusion and disability rights. Moreover, as consumers we have benefited from EU rules and as a society we have achieved a high level of environmental protection and measures to combat climate change. This owes much to the EU legislative framework and the EU's international standing. 71. There are understandable and real concerns that Brexit will place at risk a number of these protections and achievements which represent a "floor" or "baseline" beneath which national rules cannot fall (this does not prevent any Member State aspiring to higher levels of social protection). The Scottish Government is determined this cannot be permitted to happen. Brexit must not be an opportunity for any regression in the advances in social protection that have been secured through EU legislation. These rights are most easily protected, and the principle of "no regression" upheld, by Scotland remaining within the European Single Market. That is yet another key reason the Scottish Government places such a high premium on continued membership of the European Single Market. 72. However, as we make clear later in this paper, if that proves not to be possible and Scotland finds it is no longer a member of the European Single Market, then it is imperative that the necessary powers to protect the rights our workers and citizens presently enjoy are devolved to the Scottish Parliament. That will ensure it is the people of Scotland who will determine the social protection and social inclusion framework within which they work and live. 73. There are legitimate concerns that if Scotland is outside the European Single Market and its legislative framework there will be less pressure on the UK Government to maintain the high standards of protection we enjoy under European Single Market rules. The body of European Single Market law which has developed in these policy areas, constituting some of the rights and protections we value highly, ensures a level playing field in which participating countries meet the same fundamental standards. In other words, it prevents members of the European Single Market engaging in a "race to the bottom" in the rights and interests afforded to us as workers, consumers and as members of society. 74. That is why the Scottish Government is determined to secure the further devolution of the powers necessary to protect these interests and continue to promote social protection and social inclusion under any post-Brexit scenario. However, we would wish to do so as a member of the European Single Market - this is a well-established framework for mutual co-operation and collaboration which has a proven record in delivering the benefits of collective action. 75. While safeguarding the rights and interests of workers and citizens, and protecting the environment, is central to our case for continued membership of the European Single Market, we cannot ignore the wider ramifications of bringing to an end the ability of EU citizens to freely work and live in Scotland, and of our citizens to freely work and live in other countries that are members of the European Single Market. 76. As members of the European Single Market we have rights to travel and work in any of the 30 other countries that make up the European Single Market, just as workers from these countries can settle in Scotland and contribute to our economy and society. The current arrangements facilitate free movement across the Single Market for all EU and EEA citizens with an initial right of residence in a host State for up to three months. Beyond then an individual, and their family members, have rights to reside if they are a worker, self-employed, economically self-sufficient (for example, retirees), a student with sufficient resources to support themselves46, or a jobseeker who has a genuine chance of gaining employment. 77. Our citizens who currently work abroad, and those who may wish to in the future, benefit from rules on social security co-ordination, formed around the principle of equal treatment or non-discrimination within the EU and the EFTA states (Iceland, Lichtenstein, Norway and Switzerland). Nationals of States which are part of the European Single Market, and their families, are protected by three core principles - preventing double coverage, guaranteeing equality of access to migrants and nationals, and ensuring that previous periods of insurance, work or residence in other countries within the European Single Market are taken into account. 78. They also benefit from a system of reciprocity across the EU Member States in relation to private law (including commercial law, family and procedural matters in relation to litigation). There can be no doubt that the life each individual in our country is enriched by the cultural diversity and vibrancy that people from other EU countries bring to our neighbourhoods, our sporting teams, to the arts and our cultural life, and to our workplaces. 79. A key feature of free movement of goods and services has been the prohibition of discrimination and unfair treatment, so that no customer can be treated less favourably because of their race or gender. EU law also protects against discrimination on the basis of racial or ethnic origin, religion or belief, disability, age and sexual orientation. EU legislation in the field of Consumer Protection is extensive, ensuring that the provision of goods and services to the consumer meets a minimum standard. 80. EU law provides a far-reaching suite of protections and standards in relation to the environment, whether that is how we control pollution of our air, water and land or how we promote and protect our biodiversity in all its forms. Some of these areas are closely aligned to the European Single Market, for example legislation in the field of resource efficiency and waste management cannot be disentangled from the design, production, sale and use of products which are traded. 81. As a single market with free movement of people a core freedom, the EU has driven forward minimum standards for all on a wide range of work place protections, from safety at work to ensuring equal pay for men and women. 82. The examples illustrated here describe only a small number of the protections guaranteed under EU law. This concern about social protections goes to the heart of our values as a nation. Our relationship with the EU, and in particular with the European Single Market in all its manifestations, is about more than the impact on our economy and our society. It is ultimately about the country we want to be, standing by our neighbours and benefiting from the collective approach to a range of global challenges. 83. We want to continue to be a vibrant, diverse country that faces outwards and is a confident and responsible global citizen. That means welcoming the free movement of people because it reflects the welcoming place we want to be - and we want our own citizens to experience in return. We want to continue to implement progressive social policies and environmental measures and play our part to make the world a safer, fairer and cleaner place, bringing to bear our world-class expertise on, for example, marine energy, fair work, fisheries management or climate change. The foundation stone for this rich and productive future relationship with the EU needs to be membership of the European Single Market. 84. For all the reasons set out in this chapter we strongly believe that in the current circumstances the UK Government should argue energetically for the UK as a whole to remain a full member of the European Single Market in all its aspects. 85. Assuming Scotland remains inside the European Single Market, it will fall to the Scottish Parliament and the Scottish Government to ensure our domestic laws and regulations comply with the obligations of membership. This is reflected in the EEA Agreement to which, directly or indirectly, Scotland would seek to become a contracting party, and is addressed later in this paper. Of course, none of these obligations are new. As a member of the EU we are currently fully compliant with the rules which would apply if we remained within the single market under the EEA Agreement. 86. However, in addition to the policies we would be required to retain - and to which we are presently subject in any event - the EEA Agreement would also provide the strongest foundation for Scotland to continue to co-operate with our EU partners across a range of activities outside the strict scope of the European Single Market that are of vital interest to Scotland. These are areas in which Scotland already is a fully participating partner, and from which we derive considerable benefits. 87. It is not our intention here to set out an exhaustive list of these policy areas; rather we provide illustrations of the broad range of policy and operational interests at stake. Once again we would emphasise that our preference, in all the examples we explore here, would be for the UK as a whole to remain a participant in these policy areas. If that proves not to be possible, Scotland must have the opportunity to continue to participate directly in these policy areas through membership of the EEA. 88. Energy and climate policy has domestic, regional and global implications and connections. The EU's legislative reach, market influence and climate diplomacy are extensive. The EU has led international efforts to secure a global, legally-binding agreement to address climate change, and was instrumental in two decades' worth of complex negotiations with other major economies such as the US, China and India, to deliver the landmark Paris Agreement in 2015. Through the UK's membership, Scotland has benefited from being a direct part of the EU's considerable diplomatic clout in the climate negotiations, projecting our domestic climate leadership internationally, through collective effort with our EU partners - an influence that would diminish outside the EU. At home, the EU's climate and energy objectives are also increasingly important in UK and Scottish efforts to address the energy and climate goals of ensuring secure, affordable and de-carbonised energy supplies while also ensuring that those energy supplies continue to drive competitiveness and economic growth. Companies developing clean, innovative technologies have been supported by crucial EU funding to explore ocean energy, alternative fuels, energy storage and smart grid technology. 91. It will be important to ensure continuing participation in law enforcement, criminal law and civil law measures. For example, we believe Europol and Eurojust help to keep people safe and secure by allowing rapid information-sharing and effective co-operation between police and prosecutors in the prevention, investigation and prosecution of crime. These are vital in tackling serious, organised cross-border crime and the damaging impact it has on Scotland's communities and the wider economy. The European Arrest Warrant speeds up cases and ensures criminals can be brought to justice, by allowing a rapid and straightforward system of surrender between judicial authorities within the EU. Important bodies, such as the European Judicial Network (criminal and civil), which are often used more extensively by Scotland than the rest of the UK, provide effective and comparatively low-cost ways of facilitating mutual legal assistance across Europe. 92. Access to EU funding - particularly the framework programme Horizon 2020 - is important for our universities. Scotland has a highly esteemed world-class university sector, with five universities in the global top 200 of the Times Higher Education (THE) World University Rankings in 2016-17. This is more per head of population than any other country except Luxembourg48. Since 2014, almost €296 million of funding has been secured by Scottish organisations from Horizon 202049. In 2014-15 alone, Scottish universities secured £94 million from various EU sources (including EU governments, charities, business and other sources), representing 9.4% of their total research income50. As important will be the world-leading, multi-disciplinary, cross-border collaborations made possible by this funding. We have a strong international reputation for constructive partnership on research and development and are determined to ensure that continues to be the case. 93. Scotland has a moral and legal obligation to protect our country's magnificent natural resources and we remain committed to maintaining, protecting and enhancing our environment. The environment has been an important EU competence, that has allowed Scotland to achieve high levels of pollution control and environmental quality in Scotland and help influence the development of those standards across Europe. A single trading market allows the imposition of high standards across a wide area, allowing better environmental outcomes that benefit society as a whole by removing the pressure to compete in tradable sectors by lowering standards. Although some aspects of EU environmental legislation, such as the Bathing Water and Birds and Habitats Directives, are not included in the EEA agreement, membership of the EEA would require on-going compliance with many existing EU environmental protections. Maintaining, protecting and enhancing Scotland's environment will be best achieved through on-going co-operation at the European and International levels, and ensuring that future trading arrangements recognise the mutual gain to nations and their citizens from requiring high environmental standards. 94. Continued partnership on migration policy, beyond the freedom of movement afforded by the four freedoms, would build on the strong foundations already developed through the Scottish Government's approach to the refugee crisis, in partnership with other European nations. We think that it is important that the UK and Scotland fulfil their role as good global citizens in line with international obligations, to engage with international partners in offering asylum to those in need. 95. 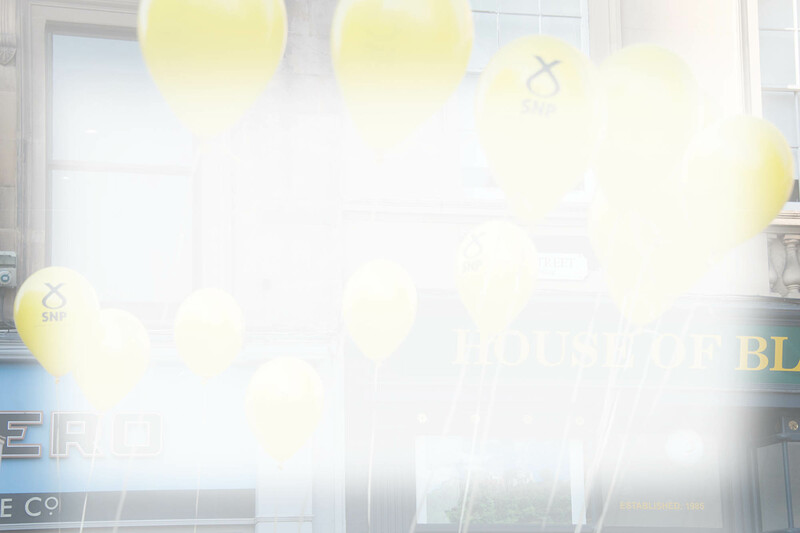 In this chapter we set out our strategy for protecting Scotland's interests, as defined by the five tests in Chapter One. Primarily, we are seeking to influence the UK Government to maintain membership of the European Single Market for the UK as a whole. If the UK chooses not to take this path we also set out how Scotland could maintain membership while the remainder of the UK leaves. We demonstrate that such a differentiated solution is based on a broad range of other practice from across the EU and we provide options to address the practicalities, including demonstrating how an invisible border for people and goods can be maintained between Scotland and the remainder of the UK. b) differentiated solutions for Scotland. Chapter Four considers the additional powers that will be necessary to implement the differentiated solutions set out for Scotland and to protect our relationship with the EU. 97. The Scottish Government believes that the UK's continued membership of the European Single Market - through the EEA Agreement - and the EU Customs Union is both feasible and desirable. There is no basis whatsoever for the assumption that all of those who voted to leave the EU also wanted to exit the European Single Market. Indeed, it is arguable that quite the opposite was the case - that there is simply no majority support for taking the UK out of the European Single Market or EU Customs Union. Membership of the EU and the European Single Market are, after all, quite distinct propositions. 98. Membership of the European Single Market and EU Customs Union is at one end of a spectrum of options for the future relationship between the UK and the EU. The opposite end of this spectrum is for the UK to leave the European Single Market and the EU Customs Union altogether and develop new trading relationships with countries around the world on the basis of WTO rules. We believe the closer the UK Government's position moves towards the WTO position the more significant the damage will be to the UK and Scottish economy and society. 99. We are advocating that the UK should remain a full member of the European Economic Area (EEA). This would likely mean the UK joining EFTA in the first instance and, thereafter, retaining - or renewing - its membership of the EEA Agreement or by direct association to the EEA. 100. Although the EFTA members of the European Single Market are required to comply with all European Single Market and related legislation, compliance is managed through the EFTA structures under the EEA Agreement. This could enable the UK Government to address one of the principal red lines set out by the Prime Minister - that the UK Government should not be subject directly to the authority of the Court of Justice of the European Union (CJEU). 101. Another apparent red line for the UK Government is control of the border. We accept that freedom of movement of people is a strict condition of the European Single Market. However, there are ongoing discussions within the EU about how this principle is implemented in the face of current challenges which may lead to changes in its practical operation. Nonetheless, we believe that the only way to tackle these challenges effectively is through continued collaboration with our EU partners. 102. Membership of the EEA would also entail financial commitments from the UK. There are two kinds of EU expenditure that the EEA EFTA States contribute to - operational and administrative. The EU operational expenditure is the total EU programme budget less the administrative expenditure. A proportionality factor based on the relative size of the gross domestic product (GDP) figures of the EEA EFTA States, compared to the total GDP of the EEA, is calculated every year. The annual EEA EFTA financial contribution to operational costs is reached by multiplying the proportionality factor with the amount of the relevant EU budget line. 103. Exactly what the UK would contribute if it opted for EEA membership would depend on negotiation over its contributions to poorer areas of the EU, which EU programmes it decided to participate in, and its success in securing funding from those programmes. However, if it contributed and received back the same proportion of national income as Norway, the UK's net contribution would be around £52 per person (£3.3 billion in aggregate) per year compared to a net contribution to the EU budget of £121 per person per year if we remain part of the EU51. 104. Our firm view is that, alongside remaining in the European Single Market, the UK should remain within the EU Customs Union. This would reduce to a degree the disruption of years of negotiating new FTAs, with no evidence that the eventual outcome will be better. If remaining in the EU Customs Union proves unacceptable to the UK Government and it is intent on pursuing its own international trade policy, this should not rule out remaining in the European Single Market. Retaining UK membership of the European Single Market as a non-member state under the terms of the EEA would not require the UK to remain within the EU Customs Union: Norway, Iceland and Liechtenstein are members of the Single Market but are not in the EU Customs Union. c) a clear transition plan. 106. Despite the overwhelming case for continuing European Single Market membership through the EEA, we are not confident the UK Government will accept this proposition. In particular, the focus on having no external arbitration and no control over free movement of people in statements by the Prime Minister52 make any compromise in this direction seem unlikely. 107. In the event that the UK Government does not pursue the option of retaining membership of the EEA, the Scottish Government is committed to exploring with the UK Government, in the first instance, the mechanisms whereby Scotland can remain within the EEA and the European Single Market even if the rest of the UK chooses to leave. This is essential if we are to ensure Scotland can continue to realise the substantial economic and social benefits from membership of the European Single Market and the "four freedoms" that lie at its core. However, as we set out later, we also consider that the proposal we put forward in this chapter could have benefits, not just for Scotland, but for the UK as a whole and for our European partners. 108. It is important to recognise at the outset that there is already a range of differentiated arrangements within the EU and single market framework, reflecting a willingness on the part of the EU and its member states, throughout its history, to be flexible. For example, Denmark is a member state, but parts of its territory - Greenland and the Faroe Islands - are currently outside the EU and the EEA. Indeed, that situation may become even more asymmetrical in future if the Faroe Islands becomes a member of EFTA, as it is currently considering. The Faroe Islands has asked the Danish Government to support it's application. 109. The Channel Islands are not in the EU but, by virtue of Protocol 3 of the UK Accession Treaty, are in the Customs Union and, for the purposes of trade in goods, are essentially in the European Single Market. Liechtenstein and Switzerland are in a customs unions with each other, even though the former is part of the EEA while the latter is not. A differentiated solution for Scotland would vary in detail to these and the other examples that exist, but the principle would be the same. 110. It should also be borne in mind that the situation the UK has created is an unprecedented situation, including for the EU. Beyond the text of Article 50 there are no set rules for what happens now. There will require to be imagination and flexibility on both sides of the negotiation. Indeed, we already know that there will be a requirement for flexibility in the UK Government's approach to negotiating Brexit. We know that geographical flexibility will be required in relation to Northern Ireland and Gibraltar; and the Mayor of London has indicated that he may seek special arrangements for London, particularly in relation to immigration. 111. In addition, the UK Government has indicated that it may seek different solutions for different sectors of the economy and has anticipated that by its actions in reported assurances, albeit confidential, to Nissan53. Therefore, in putting forward the proposals in this chapter, we are not asking for unique treatment for Scotland but merely requesting that the UK government shows a willingness to take a flexible approach in relation to Scotland in the way it is already committed to doing for other geographies and sectors. 112. The principle of differentiation is also inherent in the logic and process of devolution and indeed in the establishment of the Union itself. The Act of Union, in preserving the distinctive institutions underpinning the law, the Church and education in Scotland accepted that principle and made it a foundation stone of the United Kingdom. More recently, devolution has allowed policies to diverge across the UK in order to reflect the democratically expressed preferences of the different nations of the UK. 113. It is therefore clear that the proposals for differentiation in this paper can be seen, not just as a further step in the ongoing constitutional reform process that began in 1999 with the re-establishment of the Scottish Parliament, but also as going with the grain of the underpinning constitutional traditions of the UK. These proposals would allow Scotland to retain full participation in the European Single Market and merely confirm rights that already exist. Moreover, there are numerous examples of this sort of differentiation elsewhere across the EEA. 114. As we set out in more detail later in this chapter, nothing in this proposal prioritises the European Single Market over free movement and free trade within the UK nor places such free movement and free trade on any different footing from presently undertaken. Our proposal would secure for Scotland the benefits of the European single market in addition to - not instead of - free trade across the UK. 115. Indeed, on a visit to Ireland in September the Secretary of State for Exiting the European Union, David Davis, said he was determined to "deepen and strengthen"54 the trading relationship between Ireland and the UK after Brexit. Mr Davis said: "Ireland will not have to choose between having a strong commitment to the EU or to the UK - it can and should have both." It follows that Scotland should also not have to choose. However, as is set out in Chapter Two, leaving the EU and European Single Market will badly damage the UK economy. Therefore, although trade within the UK is important, diversifying Scotland's export opportunities will also be essential to protect Scotland's economy after Brexit. 116. A final and important point to note is that whatever the outcome of Brexit, the way in which goods and services are traded between the UK and other countries will change. As we note above, our preferred option is for Scotland to remain in the EU - for all the reasons we have set out above, but also to avoid the upheaval and complexity we will inevitably face. People and businesses in Scotland, and across the UK, will face different ways of trading with other countries and this will necessarily involve administrative changes and burdens. It could be argued that our proposal is complex and will be difficult to implement - however, the same will be true for any proposal from the UK Government which does not involve the UK's continuing membership of the European Single Market. The proposal we put forward is practical, reasonable and is the least bad option for protecting Scotland's interests in a situation that the majority of the people of Scotland did not vote for. 117. What we propose in this chapter is an integrated solution for Scotland which ensures continued membership of the European Single Market, and collaboration with EU partners on key aspects of policy and participation in EU programmes such as Horizon 2020. This has been described by some as the "Norway option", but properly encompasses all of the EFTA countries which are also party to the EEA Agreement, including Iceland and Liechtenstein. Beyond the common aspects of these relationships (which relate to the implementation of the European Single Market), Scotland would also seek the opportunity to collaborate in a wider range of policy areas such as energy and justice, which would add to our ability to work with European partners beyond a relationship based solely on free trade. Other differentiated options would also be open to Scotland instead of, or in addition to, the one discussed in this chapter, whereby Scotland could seek to remain part of particular EU policies and initiatives (i.e,.Horizon 2020, Erasmus, Europol). Accordingly, in Chapter Four, we discuss the additional powers that would enable the Scottish Parliament to pursue any such options. 118. Two similar options for Scotland that came to prominence soon after the Brexit vote were the "reverse Greenland" proposal and the so-called "Dalriada" model. Although we remain open to considering these and other options - and believe that they have merits as well as significant challenges - we do not consider them in any detail here as we regard them as unlikely to attract the support of the UK Government as both would require the UK formally to remain a Member State of the EU, something that the UK Government has indicated it will not do. 119. The option we consider here does not require the UK to remain in the EU. In this section of the paper we consider the option of Scotland remaining part of the European Economic Area - in other words, Scotland would continue to participate in the European Single Market and uphold the "four freedoms" as part of its law. It is important to stress that this option does not require concessions either from the UK Government or the governments of the EEA Member States to permit Scotland to join the single market. Rather it requires agreement that Scotland should not be required to leave that market against the clear democratic wishes of a majority of our, and the EU's, citizens. 120. While the so called "Norway option" is perhaps the most obvious example of how this kind of relationship could be achieved - by Scotland becoming a full or associate member of EFTA and thereafter becoming party to the EFTA EEA Agreement - there are variants on this model. One such example would be for Scotland, through the UK, to enter a direct association with the EEA. Scotland could also seek associate membership of EFTA and subsequently to become party to the EEA Agreement. The associate member option would share many characteristics with the arrangements agreed for Finland to become an associate member of EFTA in 1961. 121. Notwithstanding the variations available, the principle of a differentiated relationship for Scotland remains the same - continued membership of the EEA and European Single Market for Scotland. We consider that the UK Government - with the appropriate input and assistance from the Scottish Government - should seek to achieve this outcome for Scotland as part of its negotiations with the EU and should make clear its intention to do so when it triggers Article 50. 122. We recognise, of course, that developing a differentiated relationship to the European Single Market for Scotland raises technical, legal and political complexities and challenges. We seek to address each of these challenges later in this chapter. We do so by setting out in principle how each of these challenges could be overcome. However, we recognise that further detailed discussions will be required should this option be pursued and that these discussions should form part of the negotiating process between Scotland and the UK, and between the UK and the EU. 123. We also recognise that the success of this proposal will require compromise on all sides. It will require the UK Government initially and, in due course, other European governments, to be flexible and innovative. It will also require compromise on the part of the Scottish Government. Indeed, we recognise the reality that if Scotland is not an independent country and stays within the UK it will almost certainly have to leave the EU. However, by retaining membership of the European Single Market we can both mitigate the worst damage of leaving the EU and ease the transition to a full independent Member State should the people of Scotland decide to choose that future. 124. Before turning to the benefits and challenges of the "Norway option" it is worth considering some of the key ways in which it would differ from our current position within the EU. Given the situation we now find ourselves in, some of these differences could be turned to at least partial advantage. 125. Influence over EU policy - Scotland would enjoy less influence over EU policy making than is currently exercised by the UK Government. However, we would not be without influence. We would have to accept that, as we would be outside the EU, our influence over European Single Market rules and regulations would not be the same as that of EU member states. While EFTA EEA members do not participate in the formal EU legislative process55, they can and do exert influence in the development of single market rules and regulations through a decision-shaping process, and the provision of experts to advise the EU on specific policy issues. Arguably, this is a greater level of direct influence than we currently enjoy, working through the UK Government, which adopts policy positions that do not always fully reflect Scotland's needs and sometimes run counter to them. 126. Outside the Customs Union - EFTA EEA countries are not members of the EU Customs Union. Our proposal would mean that (unless the UK Government opts to keep the UK as a whole inside the EU Customs Union as the Scottish Government believes it should), Scotland, like the rest of the UK, would not be in the EU Customs Union. This would clearly have downsides for our businesses that trade within the EU. However, remaining within the single market would give Scottish businesses a comparative advantage over those in other parts of the UK that would be outside both the customs union and the single market. The fact that both Scotland and the rest of the UK would be outside the EU Customs Union (or both within it if the UK Government chooses that option), would mean that the border between Scotland and England would NOT be an external EU customs border, retaining unimpeded customs-free trade within the UK. What is in effect a customs union at present between Scotland and the rest of the UK would continue to mutual benefit. 127. Fisheries and agriculture - EFTA EEA countries are not within the Common Fisheries Policy (CFP) or the Common Agricultural Policy (CAP) and most agricultural and fish products traded from EFTA EEA countries to the EU are subject to tariffs. Our proposal would, therefore, give Scotland greater opportunity to develop and administer Scottish specific agricultural and fisheries policies. We set out in Chapter Four our expectation that responsibility for these policies will remain fully devolved to Scotland following the UK's exit from the EU, providing the Scottish Government with much more direct policy-making tools to ensure outcomes appropriate to our needs in these two critical sectors. In particular, we are clear that under this option we would not remain within the Common Fisheries Policy. However, one of the challenges of this differentiated option is the potential application of tariffs to agricultural and fisheries products; and to mitigate this, in the first instance, we would press the UK Government to negotiate for tariff-free access to the European Single Market for those products. 128. External arbitration - EFTA EEA members are subject to the jurisdiction of the EFTA Court and the oversight of the EFTA Surveillance authority rather than the Court of Justice of the European Union and the European Commission. 129. The key benefits of the "Norway option" compared to Scotland being taken completely out of the EU and single market, is that it would allow Scotland to continue to trade in both goods and services within a European Single Market of 500 million people, free of most tariff and non-tariff barriers to trade, while retaining our trading relationship with the rest of the UK. 130. Moreover it would mean that - as we would remain committed to upholding the "four freedoms" - Scottish people would retain the right to travel, live, work and study in other EU and EEA countries, with the same social, economic, health and consumer protections that EU citizens would continue to enjoy here. We would also have a continued assurance that, regardless of the policies of the government of the day, minimum employment, social, environmental and consumer rights would be guaranteed. Remaining within the single market would also provide the best platform for seeking continued co-operation with the EU in a range of other areas, for example Horizon 2020, Erasmus, Europol and wider initiatives to tackle climate change. 131. It would not just be Scotland that would potentially benefit from such a solution. We consider that there would also be economic advantages to the UK as a whole in having at least part of its territory still within the European Single Market and able to retain and attract indigenous and inward investment on that basis. It would be of benefit to the EU, both economically and through broader policy collaboration, to retain part of the UK within the European Single Market and as an enthusiastic contributor to European co-operation. 132. However, there are a number of questions that will be asked about the feasibility of Scotland remaining with the European Single Market while the rest of the UK leaves. Some of these are practical questions relating to free trade and movement within the UK. Others are legal considerations and involve the capacity of Scotland to operate within the single market framework without being an independent country. 133. In the remainder of this chapter, we set out - as high-level considerations at this stage - how each could be dealt with. We consider status, legislative and regulatory compliance, free movement of people within the UK and continued free trade within the UK. Further detailed discussion will be required with the UK Government on each of these issues. 134. In order for Scotland to continue in membership of the European Single Market the Scottish Government would require to make financial contributions to the administrative and operational expenditure of the EU, just as other EFTA EEA countries do. The amount of such contributions would be a matter for negotiation in due course but they could be met from Scotland's pro-rata share of current UK contributions to the EU if - as would seem entirely reasonable - this money was available to the Scottish Government when the UK leaves the EU. These would be less than our current contributions as a Member State, and would depend on the degree of our collaboration in programmes such as Horizon 2020. 136. It should be pointed out, however, that the Faroe Islands, not an independent state, is currently exploring the possibility of joining EFTA - a possibility that is under consideration57. It is envisaged that Denmark would "sponsor" the Faroe Islands membership of EFTA. This shows that a sub-state may enter into international agreements. In similar circumstances, and with its own legal system and strong administrative capabilities, Scotland would be well placed to meet those requirements. 137. We argue in the next chapter that a reconsideration of the devolution settlement should involve giving the Scottish Parliament power to enter international agreements in our areas of responsibility a power that already exists for some other sub-state entities. Even if such a power was not sufficient to enable Scotland, while remaining part of the UK, to maintain membership of EFTA and the EEA in our own right, we consider that our membership could be "sponsored" by the UK. Therefore, we put forward two broad options for further consideration. 138. Firstly, the UK Government could seek to maintain its current EEA membership, through an application for EFTA membership, but then seek a territorial exemption so that this membership would only apply to Scotland (unless other devolved administrations also requested it). There is precedent for territorial exemptions in the EFTA Agreement. For example, Svalbard, which forms part of Norway's EFTA membership, has elements of the EFTA agreement dis-applied to recognise its unique geographic and trading position. Unlike the "reverse Greenland" proposition, this option would be consistent with the referendum outcome, since it would only require formal UK membership of the EEA, and not of the EU. 139. Secondly, Scotland, directly or through the UK, could seek full or associate membership of EFTA and subsequently the EEA Agreement. 140. It is accepted that these options will require full and detailed discussion between the Scottish and UK Governments and, in due course, between the UK Government and other EFTA EEA member states. 141. Membership of the European Single Market under the terms of the EEA Agreement would require the Scottish Parliament and the Scottish Government to have competence to legislate in the policy areas covered by the EEA Agreement in order to uphold the core principles of the European Single Market; namely the free movement of goods, services, capital and persons. In Chapter Four we set out in more detail the additional competences that would need to be devolved to the Scottish Parliament and Scottish Government. In essence, these involve legislative and regulatory powers to ensure we are able to comply with the obligations of European Single Market membership. 142. If Scotland achieved differentiated access to the European Single Market, the Scottish Government would need to participate in the compliance machinery that currently mediates relations between the EFTA State parties to the EEA Agreement. 143. Under the EEA Agreement the EFTA Surveillance Authority effectively functions as a dispute resolution mechanism and also ensures that EFTA state parties to the EEA Agreement implement the necessary EU laws and regulations. As far as the EEA EFTA states are concerned, it is the key authority in the institutional structure, and ensures that those states incorporate EU internal market rules into their domestic law, and apply the rules correctly. It performs a similar enforcement role to the EU Commission for the EU Member States. 144. The EFTA Court has jurisdiction with regard to the three EEA EFTA States and is competent to deal with infringement actions brought by the EFTA Surveillance Authority against an EEA EFTA State with regard to the implementation, application or interpretation of the rules. Scotland would need to demonstrate it has the necessary domestic regulatory structures for single market access. All of these requirements are currently being met by either Scottish institutions (for example, Food Standards Scotland), or through the current UK regulatory regime (for example, UK Borders and Immigration, the Financial Conduct Authority, and the Competition and Markets Authority, HM Revenue & Customs). 145. The extent to which these existing regulatory authorities will continue to ensure compliance with European Single Market requirements will depend, in part, on the nature of the post-Brexit relationship between the UK and the EU. However, clearly there would be scope for policy divergence to emerge between the Scottish and rest of the UK position. This may be particularly true with regard to competition, procurement and state aid rules, where Scotland will continue to be bound by EU regulations. In such instances it would be necessary for the Scottish Government to demonstrate compliance with EU rules, and be empowered to represent its position in any dispute resolution procedures to which it may be party. 146. There could also be instances where the Scottish Government would need to establish new regulatory capacity in particular sectors of the economy in order to meet the requirements of single market membership. Elsewhere it may be possible, and more practical, to continue to share regulatory capacity with the UK Government. However, in a number of sectors Scotland already has free-standing regulatory organisations that are quite distinct from the remainder of the UK. 147. The proposal within this paper is predicated on maintaining Scotland's place in the European Single Market, in addition to - not instead of - free trade across the UK. This proposal reflects existing relationships elsewhere in Europe. For example, people feel little practical effect of crossing between Sweden and Norway, two countries with different relationships to the EU; or between Switzerland and Liechtenstein, two countries with different relationships to the European Single Market but in a customs union with each other. 148. The enhanced UK system to administer international trade flows that will be required post-Brexit in any event could be adapted to ensure compatibility for the differentiated relationship between Scotland, the remainder of the UK and the EEA. Most obviously this will involve adjustments to account for differences in tariff schedules and rules of origin between the UK and the EEA, although if the UK Government achieves its stated objectives regarding the UK's post-Brexit third country trade relations (including with the EU) these would not be significant. 149. This administrative system would manage the different conditions of sale of goods and services originating in, or destined for, the European Single Market within two parts of the UK, namely Scotland and the remainder of the UK. Therefore an open border would be maintained between Scotland and the remainder of the UK. The EU will also need to decide how to manage the import and export of goods to and from the UK under this model, accepting that the current system will change irrespective of the future solution for Scotland and the UK once they are no longer EU members. 150. In relation to both free movement of goods and services and free movement of people, the UK Government has been very clear in its belief that, despite Brexit, the invisible border between Northern Ireland and the Republic of Ireland can be maintained. We strongly support efforts to keep this invisible border between the Republic of Ireland, which is a member of the customs union, and the UK, which (we assume) will not be. This also means there are no good grounds for suggesting that a border will be required between Scotland and England which - under this proposal - would share a common position in relation to the EU Customs Union. 151. In order to continue our membership of the European Single Market through the EEA, Scotland would continue to meet the obligations of the EU Acquis as set out in the EEA Agreement regarding the free movement of traded goods and services, as well as the associated flanking measures, as is currently the case. Scotland would not be part of the EU Customs Union, but would remain inside the UK customs union (unless the UK itself opts to be in the EU Customs Union) and goods and services could continue to be traded freely within the UK. The border between Scotland and England would not be an external EU customs border, this will be the external UK border. There will of course be disadvantages for Scottish (and UK) businesses if the UK Government does opt to be outside the EU Customs Union. However, these disadvantages will be minimised - and indeed a comparative advantage achieved relative to businesses in the rest of the UK - if Scottish businesses can still operate within the European Single Market. 152. The laws of the European Single Market would apply only to those goods and services traded between Scotland and the rest of the European Single Market. For instance, a manufacturer based in Scotland with customers throughout the remainder of the UK would continue to be able to trade freely. We see no reason why the principle of mutual recognition of standards should not continue to apply under this proposal. If the manufacturer also conducts business within the European Single Market they would be required to continue to demonstrate that their products complied with the requirements of relevant EU Directives and Regulations. In essence, this involves applying the principle of "parallel marketability"58 whereby goods and services originating in Scotland may be legally marketed in both the UK and the EEA. 154. If the point of sale is Scotland, then there will be no tariff payable due to our EEA membership. If the goods are to be sold in the remainder of the UK they will be subject to whatever regulations apply and tariff is payable under the remainder of the UK's arrangements with the single market and/or EFTA states. To the extent that any import from the single market is not covered by Scotland's EEA membership then the relevant regulations and tariff under Scottish and/or rUK law (depending on the devolution settlement in place) will apply. 156. Goods and services could also continue to be exported from Scotland and the UK under different conditions when accessing the European Single Market. Goods and services produced in Scotland, and complying with all relevant EU regulations, would be exported freely to the European Single Market, whilst those from elsewhere in the UK would be required to comply with the terms of the UK's new trading relationship with the EU. 157. These arrangements would only be necessary for those elements of trade between the UK and the European Single Market, and only to those products covered by the EEA. It would, therefore, exclude agricultural and fisheries products. Similarly, as Scotland would remain within the UK-wide customs union, there would be no impact on goods and services traded between the UK and third countries. 158. It is worth stressing that insofar as the UK succeeds in its stated aim of negotiating a free trade agreement with the EU, and replicating with non-EU countries the terms of its present trade relations, the administrative burden associated with managing rules of origin will be minimised even further. 159. The free movement of people is one of the essential four pillars of being in the European Single Market and Chapter Two outlines the significant benefits to the economy of Scotland, as well as providing the opportunity for thousands of Scots who work, study or travel across the European Union. Limiting free movement of people has the potential to seriously harm Scotland's long-term economic future. 160. Indeed, regardless of the outcome of the Scottish Government's efforts to keep Scotland in the European Single Market in line with the proposal in this chapter, there is a strong and increasingly urgent case for greater flexibilities on immigration for different parts of the UK. It is increasingly clear that a one-size-fits-all approach is not in the best interests of Scotland. For these reasons, Scotland needs to explore a distinctive approach, whatever its future relationship with the single market turns out to be. 161. There is, of course, past precedent for differentiation in Scotland. We have already pioneered approaches suited to our particular circumstances such as the introduction of "Fresh Talent" in 2005 which allowed international students to work in Scotland, contributing to our economy and communities for two years after graduation. There is also strong support for future differentiation - with our partners in the university and business sectors, the Scottish Government has consistently made the case for the re-introduction of a post study work route which would allow talented graduates to stay in Scotland after completing their studies and continue to make a valuable contribution to the country. 162. However, it is not just Scotland that would benefit from a more flexible approach to immigration to the UK. The Mayor of London has also called for greater flexibility. A report published in October 201659 identified different parts of the UK with different immigration needs and proposed potential models for further consideration. One such example is the possibility of a system of "regional visas" for non-UK nationals being explored by the City of London Corporation. 163. It is worth noting that in other parts of the world, Canada and Australia for example, there are already successful examples of differentiated immigration systems. These allow Provinces in Canada and Territories and States in Australia to identify and address their own specific population challenges by flexing the requirements of the national immigration system. These systems do not create borders or barriers between provinces or states. 164. It is therefore likely that whatever the outcome of Brexit in relation to Scotland, the UK Government will in future require to deal with different immigration arrangements in different parts of the UK, while ensuring free movement within the UK. However, the remainder of this chapter considers the situation whereby Scotland is in the single market - upholding the principle of free movement of people - and the rest of the UK is not. Chapter Four makes clear that, in such a scenario, Scotland would require powers over immigration to be devolved. 165. People coming into Scotland from other countries - EU or non-EU - would continue to be subject to passport and other security checks as is the case now. Scotland remaining within the single market - and the rest of the UK not - would not change that. It would be open to the UK Government to apply additional visa requirements for citizens from other EU countries coming into airports or ports in England, Wales and Northern Ireland. 166. Free movement within the UK would continue to be facilitated by the Common Travel Area (CTA) as it is now. The CTA operates across the UK, the Isle of Man, the Channel Islands and the Republic of Ireland. The UK Government has stressed that the CTA pre-dates its membership of the EU and that it will continue to operate after it leaves the EU. If the CTA can continue to operate between the UK and Ireland, a country that is a member of the EU, with its own rules on immigration, then there can be no reason whatsoever that it could not continue to operate between Scotland and the rest of the UK, even if Scotland is in the single market and the rest of the UK is not. In addition, UK citizens would continue to have the right to live and work in any part of the UK as they do now. People living in Scotland would have the right to free movement across the EU, while people in other parts of the UK would not. It is suggested that domicile would be the determinant of those rights. 167. The main issue that would have to be addressed is the prospect of people from other European countries with the right to live and work in Scotland seeking to use Scotland as an access route to living and working in the rest of the UK. There will, however, be immigration rules applied in the rest of UK that will deal with that issue, which, as the Prime Minister has set out, are likely to be based on checks at the point of employment60. Anyone from outside the UK seeking to find work or housing or access social security or public services in the rest of the UK would be subject to whatever rules and standards of proof the UK Government decides upon. That arrangement applies in many other jurisdictions including, as noted, Canada and Australia. 168. As we have indicated in an earlier chapter, free movement of people is not only necessary for our economy, it is desirable for the cultural and social benefits it brings and the opportunities it affords to us all. If the UK Government gives up membership of the European Single Market and the commitment to free movement of people, examples from around the world and within the UK show that we can make a differentiated approach work. 169. We believe our proposals on differentiation offer a feasible way to reconcile what now appears to be the UK's current position to exit the EU and the Single Market with the democratic wishes of a majority of the Scottish electorate and their elected politicians, and will best mitigate the risks that Brexit poses to our economic and social interests. We further believe that an acceptance of the need for, and the case for, differentiation would be the first step towards detailed, constructive discussion of these options and others. 170. Our proposal would require very detailed discussion and negotiation. But we believe this option is capable of meeting our requirements for continued trade within the European Single Market, adherence to the "four freedoms" and implementation of the range of "flanking" policies which support and complement the operation of the European Single Market, while providing a feasible structure for continued free trade and movement across the UK. The proposal complements and builds on the existing relationships. a) Explore - openly, constructively and in good faith - options for a differentiated solution for Scotland that enables us to remain in the EEA while the rest of the UK leaves. c) Discuss, negotiate in the appropriate forums, and conclude the practical solutions and shared administrative arrangements we would need to put in place to make a differentiated solution work effectively. a) Matters which are no longer subject to EU law and that currently sit within Scottish Parliament competence, for instance agriculture, fisheries and education. These must remain the responsibility of the Scottish Parliament. b) Other areas of EU competence where devolution would allow the Scottish Parliament to protect key rights, for example employment law, and health and safety. c) The need for devolution, beyond areas of "repatriated" EU competence, to protect Scotland's interests, including those necessary to support the differentiated solutions for Scotland proposed in this paper, for example through powers over immigration or to conclude international agreements. 173. Whatever the final terms of the UK's exit from the EU, the effect on Scotland's constitutional position will be profound. The Scottish Parliament was established in 1999 to enable the government and laws of Scotland to reflect the values, needs and priorities of the people of Scotland in a context underpinned by EU law. As a result of the EU referendum the assumptions underlying devolution no longer hold61. The economic, social and democratic benefits that Scotland enjoys as a result of its place in the EU are all now at risk. A fundamental reconsideration of the UK's constitutional arrangements is therefore required62. As part of this, the powers of the Scottish Parliament need to be increased not just to give effect to the new relationship with Europe set out earlier in this paper, but also to enable it to protect Scotland's interests in a context where the protection provided by EU law has been removed. 174. The Scottish Government continues to believe that independence offers the best long-term future for Scotland. If we were an independent country we would not be facing the prospect of being taken out of the EU against our will. However, Scotland will only become independent when a majority of people in Scotland choose that future in a democratic referendum. The proposals in this paper reflect the mandate given to the Scottish Government by the Scottish Parliament in the days following the EU referendum to explore all options for protecting our relationship with the EU. 175. 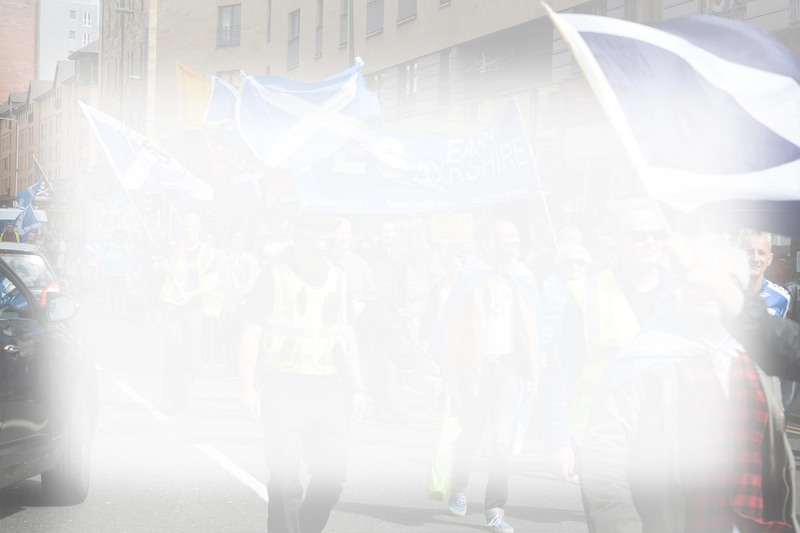 Our starting point is that it is the sovereign right of the Scottish people, in the words of the Claim of Right, "to determine the form of government best suited to their needs"63 and that it should be for the Scottish Parliament to represent their views. While we believe that many of the considerations set out below will have resonance in other parts of the UK, the governance and constitutional arrangements of England, Wales and Northern Ireland are matters for the people of those countries. a) "Repatriated" competences in devolved areas. Matters no longer subject to EU law are the responsibility of the Scottish Parliament where they concern devolved areas such as agriculture, fisheries, education, health, justice and environmental protection. In these areas decisions on the replacement of the rights and protections provided by EU law to Scottish citizens will be for the Scottish Parliament. There must be no attempt to reserve these matters, which would in any case require the consent of the Scottish Parliament. Exit from the EU must not result in centralisation of control at Westminster. Any provisions in the UK Government's so-called "Great Repeal Bill" about matters within devolved competence, or altering the competence of the Scottish Parliament or Government, will also require the consent of the Scottish Parliament. b) "Repatriated" competences in reserved area. Matters no longer subject to EU law which are not within current devolved competence should be devolved to enable the Scottish Parliament to protect citizens' rights. These should include areas such as employment law and health and safety legislation. c) Additional powers to protect Scotland's interests. Beyond repatriated powers, the current division of responsibilities between the Scottish Parliament and Westminster must be reconsidered to reflect the change that will be effected to the UK's constitutional settlement by leaving the EU. New powers to secure any differentiated relationship with Europe should be part of this, but additional devolution is necessary in any case to ensure that the Parliament is able to protect Scotland's interests in this new context. 177. The rest of this chapter considers these issues in more detail. As a number of commentators have observed64, they point to the need for a fundamental reconsideration of the nature of the UK state, with different relationships between its constituent parts as well as changes to the detail of their powers. 178. EU law affects devolved areas through the rights, freedoms and duties that flow from the EU treaties and through EU legislation (directives and regulations). Under the Scotland Act 1998, the Scottish Parliament and Government are responsible for implementing EU law where it applies within devolved competence, for example by designing and passing the Scottish laws to put EU legislation into effect. 179. If Scotland remains in a UK outside the EU, it will be for the Scottish Parliament and Government to put in place the laws and administrative systems to replace EU law in devolved areas. Any proposal to take back powers from Scotland to the UK Parliament and Government on leaving the EU would require the consent of the Scottish Parliament under the Sewel Convention65 and the Scottish Government would not recommend consent66. Where there may be a need to devise a cross-border framework within the UK to replace that provided by EU law, for example in relation to animal health, that should be a matter for negotiation and agreement between the governments concerned, not for imposition from Westminster. 181. Across the UK, dealing with the legal and policy consequences of leaving the EU will be a major undertaking. The UK Government has announced a "Great Repeal Bill" intended to address these issues, at least initially. The Scottish Government will discuss the plans with the UK Government as they develop, in line with well-established practice for Westminster legislation67. If, in the light of that and our discussions on the proposals in this paper, the Scottish Government agrees that the Bill should include areas within devolved competence or changes to the powers of the Scottish Parliament or Scottish Minsters, the legislative consent of the Parliament will need to be sought in the normal way. The alternative would be to legislate for these matters in the Scottish Parliament. 183. In these areas, too, the UK Government and the Devolved Administrations would need to work together to consider proposals for UK-wide frameworks, whether the matters to be covered are formally reserved in a country's devolution settlement or not, to ensure they meet each country's priorities and needs, or to allow administrations to make other national arrangements where appropriate. 184. The need for further devolution and a reshaping of the UK constitution goes beyond repatriated powers. The UK's current constitutional arrangements are rooted in membership of the EU. The EU is a source of laws, policy and funding based on decisions agreed between 28 countries. Leaving the EU requires a rethinking of the nature of the UK as a state to ensure an appropriate balance of balance of powers and responsibilities to replace that previously shaped with reference to EU law and institutions, and to avoid a further concentration of power at Westminster. This needs to cover both the devolution of powers, and the arrangements for devolved institutions to have a say in decisions on reserved matters affecting the countries concerned68. 185. Our proposals for a differentiated relationship for Scotland with the EU would require the Scottish Parliament to have a range of new powers, but additional devolution is needed in any case to enable the Parliament to protect Scotland's key interests in relation to the economy, democracy, social protection, solidarity and influence that we set out in this paper. For example, powers over immigration are increasingly vital for the protection of Scotland's interests. Indeed, there is a growing view in different parts of the UK, for example London, that a one-size-fits-all approach to immigration is no longer appropriate. h) financial services, telecommunications, postal services and reserved aspects of transport. 187. International engagement. The Scottish Government will need to take part in trade negotiations that impact on devolved competences. It will also need the ability to speak in international forums and to secure agreements with other countries. This could be achieved either through an arrangement with UK Government or by virtue of an independent international legal personality. To a significant extent the co‑operation that Scotland will need to develop with other countries will be concerned with existing devolved areas, such as such as research, education and training and environmental policy. However, it will also need to encompass currently reserved matters listed above. 188. The exact approach to ensuring that the Scottish Parliament and Government have the necessary powers will need detailed consideration and a constructive approach from both the UK and Scottish Governments. 189. Consideration of the constitutional implications of the UK leaving the EU must take place as part of the overall process now under way. The Scottish Government will pursue these proposals in its current discussions with the other Devolved Administrations and other interested bodies, such at the London Assembly, and in negotiations with the UK Government. 190. The Scottish Government believes the best option for Scotland is to be an independent member of the EU. The people of Scotland voted overwhelmingly to remain in the EU on 23 June. Moreover, we concur with those who believe that the Leave prospectus put forward during the referendum was deeply flawed and that the lack of preparation for leaving by those responsible for that campaign remains a deeply damaging aspect of the current constitutional crisis. 191. The current situation is not of our making - it has been caused by the original flawed decision to hold the EU referendum and the subsequent majority for Leave in England and Wales. However, in line with our commitments, we have explored all options to find out whether Scotland's national interest and relationship with Europe can be protected within the UK, and to mobilise opinion to this cause. 192. The proposals in this paper represent a significant compromise on behalf of the Scottish Government, but we make them in line with the commitment we gave to explore all options and build as much consensus as possible. We also believe that, short of continuing UK membership of the EU or independence within the EU for Scotland, these proposals are the best way to protect Scotland's interests. We believe that the UK should remain members of the Single Market or should agree that it will support Scotland in doing so - in line with its previous commitments on the nature of the UK as a "partnership" and its agreement to develop a UK approach to negotiations. 193. This paper has set out the vision of the Scottish Government in terms of the best outcome from Brexit for the whole of the UK - continued membership of the European Single Market. We have presented the evidence of the negative impact of any other approach on the economic and social prosperity of Scotland and, by extension, the UK as a whole. 194. We have set out a clear proposition for how a differentiated position could work - in the event that the UK Government decides to leave the single market - drawing on examples from a range of countries and scenarios which demonstrate that differentiated relationships work elsewhere. This would allow Scotland, as part of the UK, to remain within the European Single Market, and would be achievable through partnership working with UK Government and European partners. a) Economic interests - the proposal we have presented for differentiation would secure continued membership of the single market for Scotland. b) Solidarity - Scotland would be able to make policy choices beyond those required by single market membership to implement European policy and work collectively with European partners to tackle significant challenges such as terrorism and climate change. c) Social protection - continued membership of the European Single Market and participation in horizontal and flanking policies would ensure that Scotland maintained the standards of social protection and would be able to track future policy developments. d) Democratic interests - a differentiated position would ensure that Scotland's distinctive voice is heard, particularly in our future relationship with the EU and single market, and our wishes respected. e) Influence - through EFTA membership and participation in the single market through the EEA agreement Scotland would be able to achieve some influence over the development of EU policy relevant to the single market, although we accept this is not to the same extent as EU membership. 196. The UK Government has made firm commitments to the people of Scotland. The Prime Minister says the UK is a partnership of equals, that the Scottish Government will be fully engaged in the Brexit process, and that Article 50 will not be triggered until there are agreed UK objectives for negotiations. 197. The propositions set out in this paper would require the full support and participation of the UK Government. We intend to engage in discussions with the UK Government to further explore a differentiated solution which ensures continued European Single Market membership. Such a solution would need to be included as an integral element in the UK Government's negotiations with our European partners (including EFTA members) once the Article 50 procedure has been triggered. Central to our discussions with the UK Government would be an understanding of, and an agreement around, the issues that need to be resolved between the Scottish and UK Governments before we could seek agreement with our European partners. We believe the technical challenges can be met if there is political will on all sides to explore solutions. 198. However, we are clear that realising such a position would be a shared endeavour with the UK Government and our European partners to deliver a compromise which respected both the democratically expressed of the Scottish and UK Governments and the constitution of the UK. Such a solution would require close and ongoing co-operation with the UK Government in a range of areas. 199. We have also set out how leaving the EU will fundamentally affect the constitutional arrangements of the UK. Policy for devolved functions currently subject to EU law will be the responsibility of Scottish Parliament. A significant increase in devolution is required to protect Scotland's key interests, including delivering any differentiated arrangement with the EU. A consequence of leaving the EU cannot and must not be that power is further concentrated in the UK Government and at Westminster; there needs to be a fundamental realignment of responsibilities to ensure that the interests of the nations across these islands are protected, and that there is a genuine partnership of equals in the governance of the UK. 200. We therefore call upon the UK Government to confirm that their approach to negotiations with the European Union will set out a framework for their future relationship with the EU, and remaining inside the single market will be central to that approach. If this is not included, the Scottish Government seeks agreement from the UK Government that a differentiated option for Scotland that will allow Scotland to remain inside the EU single market, will be pursued in those negotiations. We look forward to discussing urgently with the UK Government how Scotland's interests will be protected and how this is best delivered, on the basis of the propositions set out in this paper. 201. We find ourselves in an unprecedented position. It is not of our making. It threatens our economy and our society and is incompatible with the kind of country we are now and want to be in future. 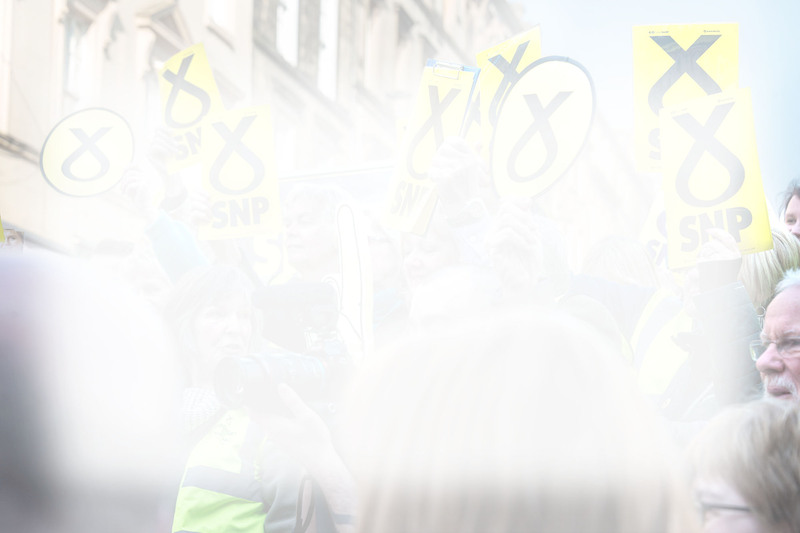 The situation we find ourselves in should transcend party politics and demands creative leadership on behalf of the Scottish people to protect our national interests. We are taking that step and demonstrating that leadership. We look to the UK Government to match these efforts and to work with us to move forward. This glossary explains some of the key terms we have used in this paper and includes links to further information. Membership of the European Single Market - We have defined membership of the European Single Market as the ability to participate fully in that market without any regulatory or tariff barriers to the export or import of goods and services. This would also include full participation in the four freedoms, the free movement of people, goods, services and capital and the rights of establishment for businesses. Access to the European Single Market - Access to the European Single Market is very different to membership (as defined above). Any one of the hundreds of nations with a trade schedule at the World Trade Organisation has access to the European Single Market, but may face tariffs on goods and will also need to demonstrate that goods meet the standards of the European Single Market. There is also no access for services, or rights under any of the four freedoms. Some nations have negotiated preferential terms, in the form of a free trade agreement with the EU, such as the recently agreed deal with Canada, to reduce some of these tariffs and increase common standards to help further reduce barriers to trade and market access. However, these deals still fall far short of membership as defined above. The European Union - The European Union (EU) is currently a group of 28 (which will be 27 following the exit of the UK) countries that operate as a cohesive economic and political block. Nineteen of the countries use the euro as their official currency. The EU grew out of a desire to form a single European political entity to end the centuries of warfare among European countries that culminated with World War II, which devastated much of the continent. The European Single Market - Has its basis in article 26 of the Treaty on the Functioning of the European Union which provides in article 26(2) that "[t]he internal market shall comprise an area without internal frontiers in which the free movement of goods, persons, services and capital is ensured in accordance with the provisions of the Treaties". The European Commission describes the European Single Market as "the EU as one territory without any internal borders or other regulatory obstacles to the free movement of goods and services". The European Single Market is in effect extended to include the EFTA State parties to the EEA Agreement (Norway, Iceland and Liechtenstein) by the EEA Agreement: the EFTA State parties participate in the European Single Market under and in terms of that Agreement. EU Customs Union - The effect of a customs union is to ensure that no customs tariffs are levied on goods travelling within the area of the customs union with a common external tariff imposed on all goods entering the customs union - effectively prohibiting members of a customs union negotiating independently of other members bilateral trade deals with other countries. The members of the EU Customs Union are all the EU member states, Monaco, Isle of Man, Jersey and Guernsey, Akrotiri and Dhekelia. (The EU also has partial Customs Unions with Turkey, Andorra and San Marino where some goods are excluded.) The EFTA States - including the EFTA State parties to the EEA Agreement (Norway Iceland and Liechtenstein) - are not members of the EU Customs Union. They do not participate in the EU's free trade agreements with other markets in the world and trade in goods between the EFTA State parties to the EEA Agreement and the EU member States are subject to customs procedures, including "rules of origin" checks on the source of components to ascertain whether tariffs require to be paid as products cross the border. European Free Trade Association (EFTA) - EFTA is an intergovernmental organisation set up for the promotion of free trade and economic integration to the benefit of its member States - currently Switzerland, Norway, Iceland and Liechtenstein. It manages the EFTA Convention which governs free trade between the EFTA states, a network of trade deals between EFTA and 38 other countries worldwide and the EEA Agreement, through which three of the EFTA States - Norway, Iceland and Liechtenstein - are members of the European Single Market. European Economic Area (EEA) Agreement - The EEA Agreement is an agreement between the EU, the EU member States and three EFTA States (Norway, Iceland and Liechtenstein). It provides for the inclusion of EU legislation covering the four freedoms - the free movement of goods, services, persons and money - in the three EFTA States as well as the EU member States. It is the basis of which the three EFTA States participate in the European Single Market. In addition, the EEA Agreement provides for co-operation in other areas including research and development, education, social policy, the environment, consumer protection, tourism and culture ("flanking and horizontal" policies). Council of Europe - The Council of Europe is an international organisation which promotes human rights and democracy in Europe. It was founded in 1949 and with 47 member states covers 820 million people. It should not be confused with the EU. Flanking and Horizontal Policies - The EEA Agreement provides for the inclusion of EU legislation in all policy areas of the European Single Market. The EEA Agreement includes provisions on the free movement of goods, persons, services and capital, as well as competition and state aid rules. It also contains provision relevant to the four freedoms on consumer protection, company law, environment, social policy and statistics. These are referred to as horizontal provisions. In addition to these horizontal areas there are other provisions within the EEA Agreement that provide for co-operation in several flanking policies such as research and innovation, education, training and youth, employment, tourism, culture, civil protection, enterprise, entrepreneurship and small and medium-sized enterprises. This is not an exhaustive list and it is possible for contracting parties to the EEA Agreement to agree new flanking areas to be added to the list. Schengen Area - The Schengen area covers 26 EU states and the member states of EFTA (Switzerland, Norway, Iceland and Liechtenstein) where passport and border control has been abolished for travel between participating states. The Schengen states operate a strengthened external border. The UK and Republic of Ireland have opted out of Schengen, and in response to recent terror attacks and the migration crisis some Schengen states have re-introduced temporary border controls. Common Travel Area - The Common Travel Area maintains an open border for travel between Ireland, the UK, Isle of Man and the Channel Islands. People crossing internal borders within the CTA are subject to no or minimal border checks and require minimal identity documents to travel. In order to maintain the CTA there is significant co-operation between UK and Irish border officials. EU Acquis - The EU Acquis Communautaire, often shortened to the EU Acquis, is the legislation, acts and court decisions which in sum form the body of European Union law. Rules of Origin - Rules of origin are used to determine the country or origin of a product for purposes of international trade. Countries may not apply the same trade policy measures towards all other countries in international trade of goods, with the consequence that there must be various legal or administrative requirements to be fulfilled for implementing the different trade policy measures according to the different origin of goods. This may be for example different levying of import duties, allocating quotas, imposing anti-dumping duties or applying safeguard measures. 7. See IFS (2016) The European Single Market: The Value of Membership versus Access to the UK. 32. HESA staff returns 2014-15. 34. HM Revenue and Customs (2016) Statistics on recently arrived non-UK EEA nationals subject to income tax and National Insurance contributions or receiving HMRC administered benefits, May 2016. https://www.gov.uk/government/uploads/system/uploads/attachment_data/file/522811/HMRC-Ad_Hoc_Stats_Release-EEA_Nationals_net_contribution_2013-2014.pdf. 36. Source : Annual Populations Survey, 2015: Information is not shown for Agriculture and Fishing, Energy and Water as these do not meet reliability criterion. 38. The food and drink growth sector comprises agriculture, fishing, aquaculture, food and drink manufacturing. 39. The number of non-UK EU Nationals employed in the food and drink growth sector is estimated from the Annual Population Survey 2015, ONS. As the Annual Population Survey is based on a survey of private households in the UK, seasonal workers are unlikely to be captured. The industry sector of employment is self-reported in this source. Non‑UK seasonal migrant workers are estimated from the Annual Census of Scottish Agriculture, a separate SG statistical source. 44. Figure from national population projections published in October 2015. The population is projected to grow by 167,000 from 2014-2024. Of this increase 150,000 (90%) is projected to come from net migration. The other 17,000 (10%) is projected to come from natural change (births minus deaths). 46. But there are also rights to equal treatment in to the context of financial support for studies. 48. World University Rankings 2016-17 (2016). Times Higher Education. https://www.timeshighereducation.com/world-university-rankings/2016/world-ranking#!/page/0/length/25/sort_by/rank/sort_order/asc. 49. EU Research Projects under Horizon 2020 (2016). European Union Open Data Portal. https://data.europa.eu/euodp/en/data/dataset/cordisH2020projects. 64. [See, for example, Gordon Brown’s call for a “constitutional breakthrough” in light of Brexit (www.heraldscotland.com/news/14710785.Brown_backs_effective_Scottish_Home_Rule__saying_Brexit_vote_calls_for_new_constitutional_settlement/); former Labour Foreign Secretary David Owen’s proposals for a Federal UK Council (www.lorddavidowen.co.uk/lord-owen-sets-out-proposals-for-a-federal-uk-council/), the Westminster cross-party Constitutional Reform Group’s Act of Union Bill, which proposes a federal UK settlement (http://www.constitutionreformgroup.co.uk/publications/), and comments by the Scottish Labour party http://www.bbc.co.uk/news/uk-scotland-scotland-politics-38223719. 65. 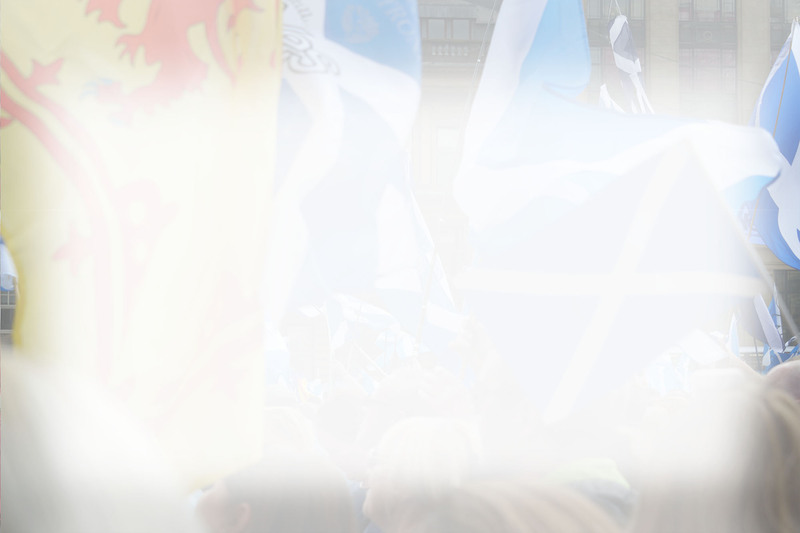 Devolution Guidance Note 10: post-devolution primary legislation affecting Scotland (http://www.gov.scot/Resource/Doc/37349/0066833.pdf). 67. Devolution Guidance Note 10: post-devolution primary legislation affecting Scotland (https://www.gov.scot/Resource/Doc/37349/0066833.pdf). 68. More Powers for the Scottish Parliament, published by the Scottish Government in October 2014 (https://www.gov.scot/Resource/0046/00460563.pdf), set out a comprehensive set of proposals for maximum self-government for Scotland within the UK.